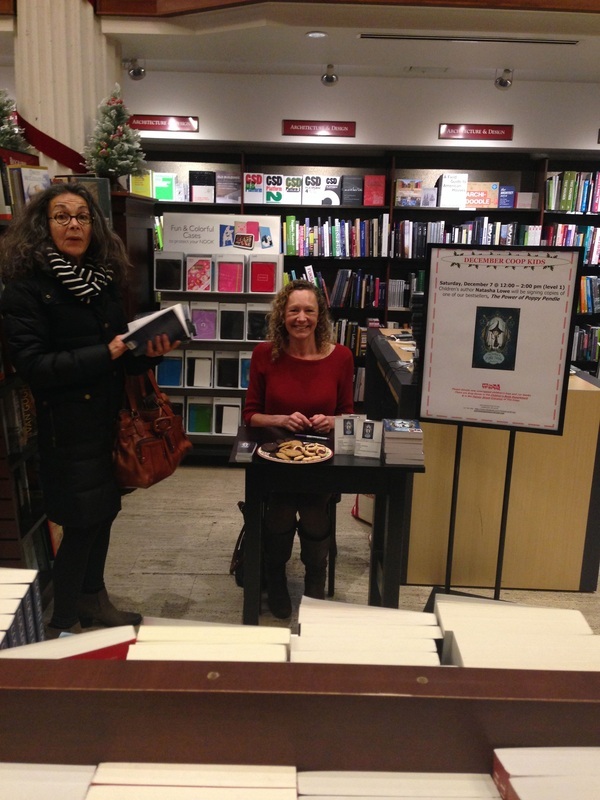 Book signing at the Harvard Coop in Cambridge, Ma. 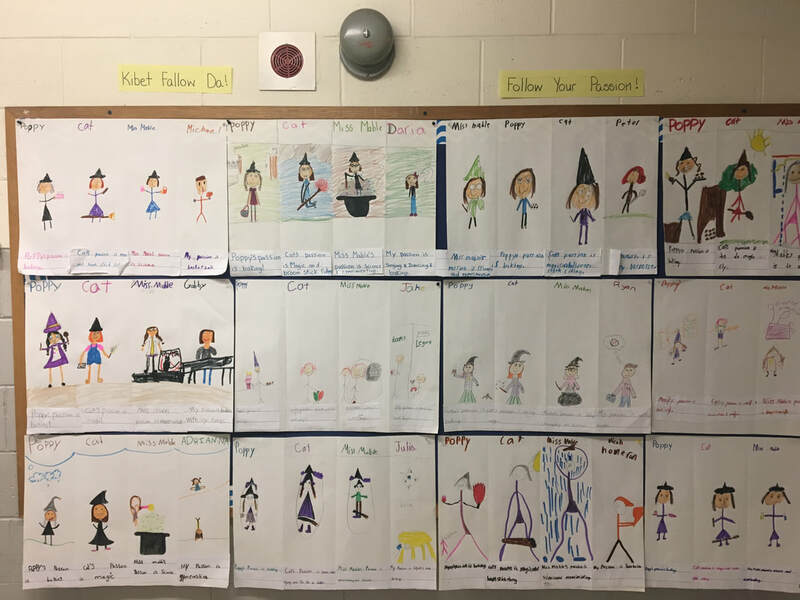 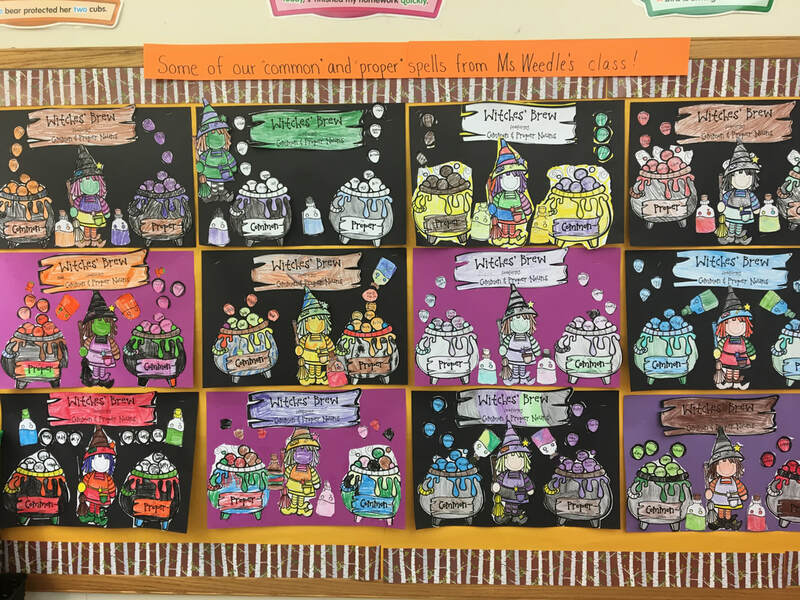 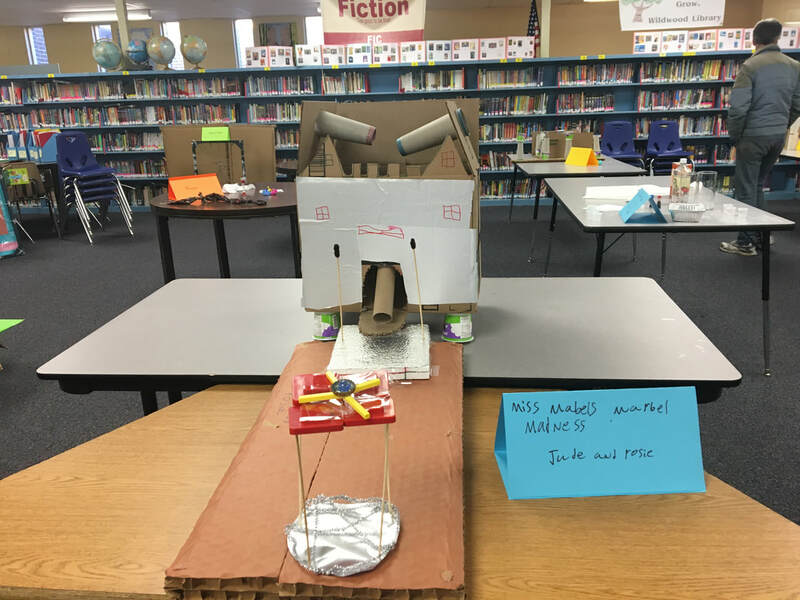 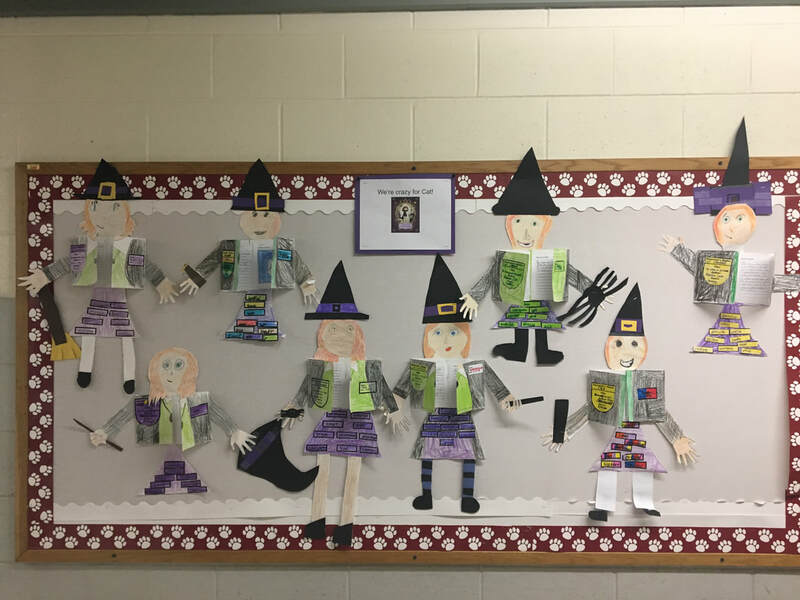 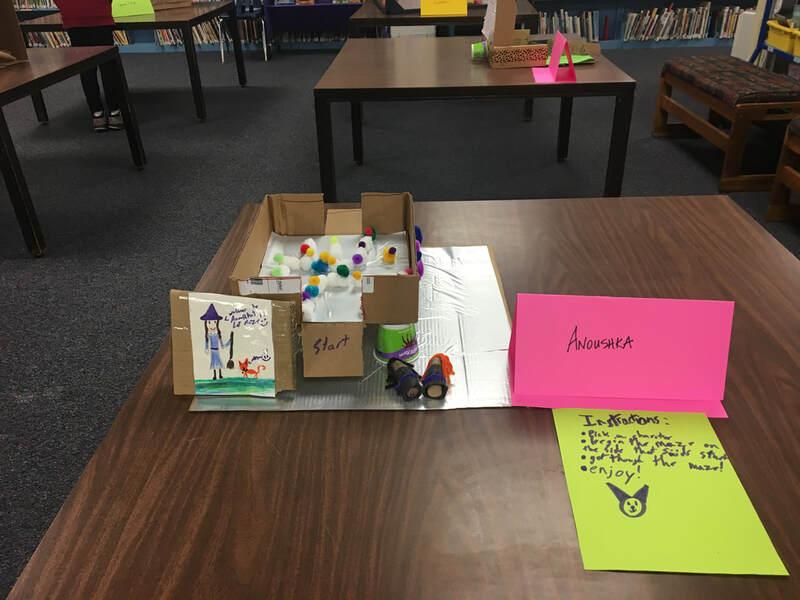 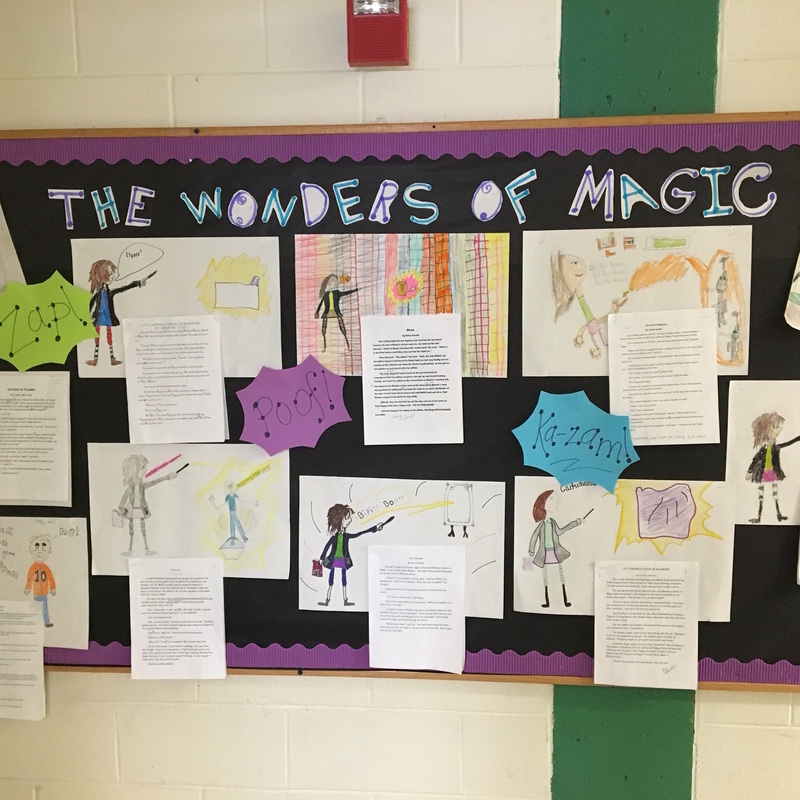 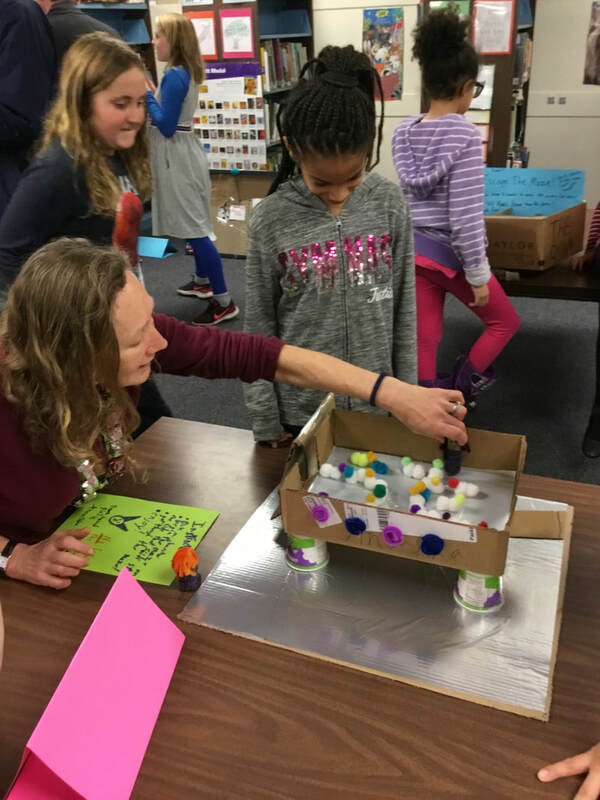 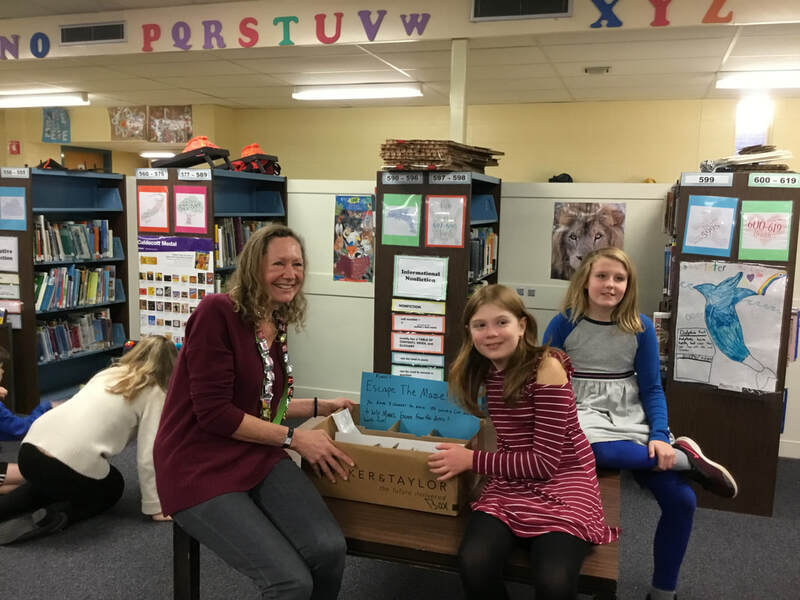 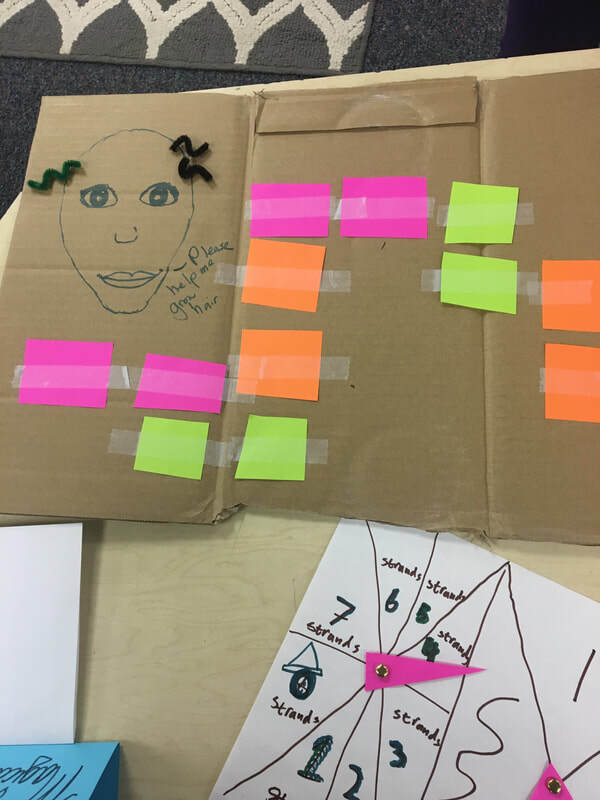 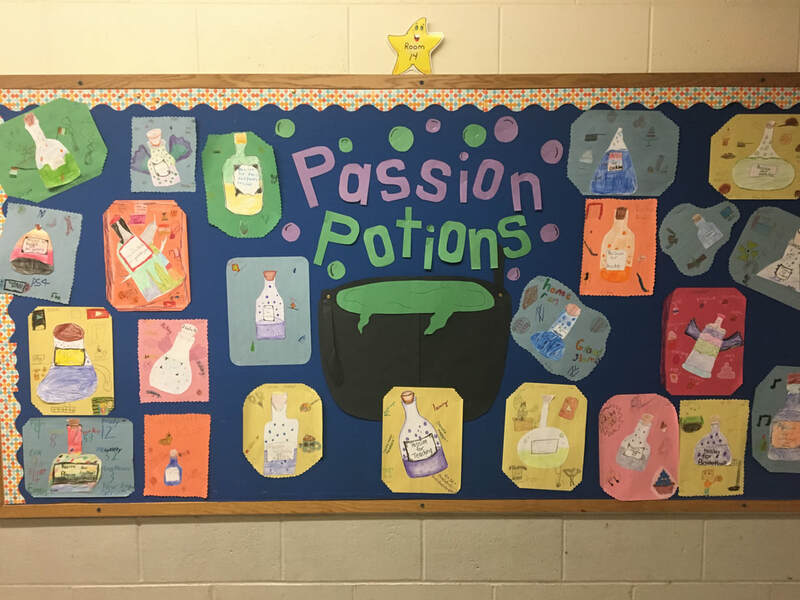 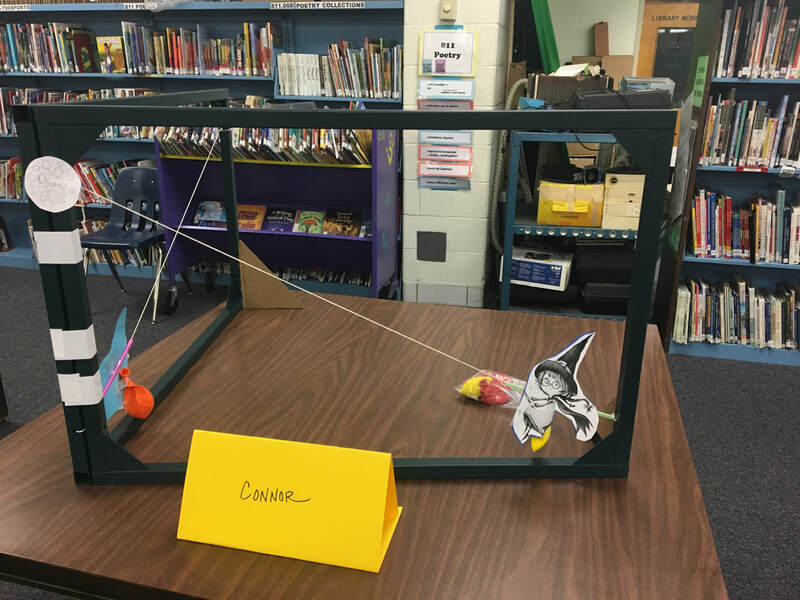 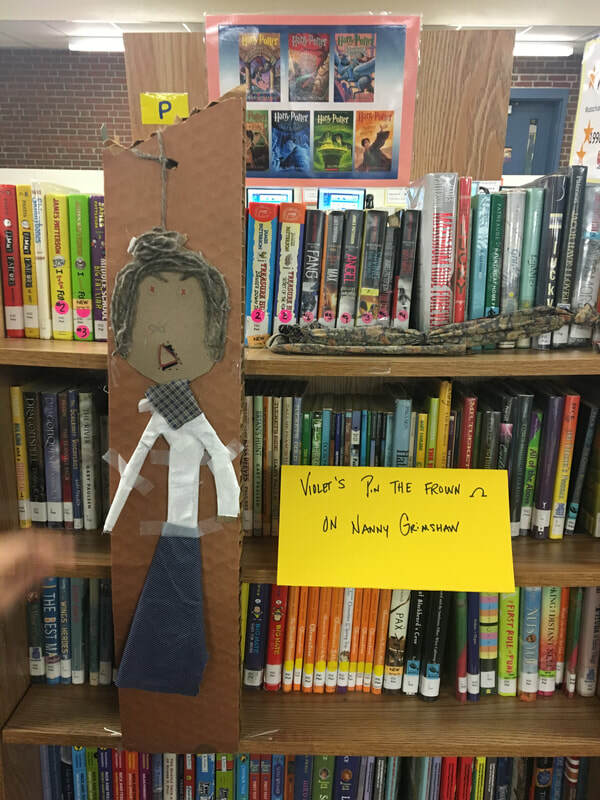 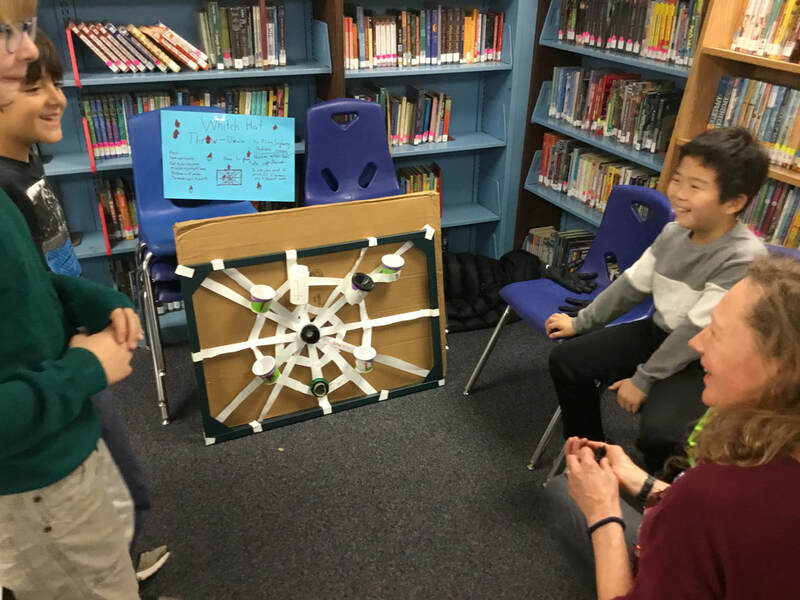 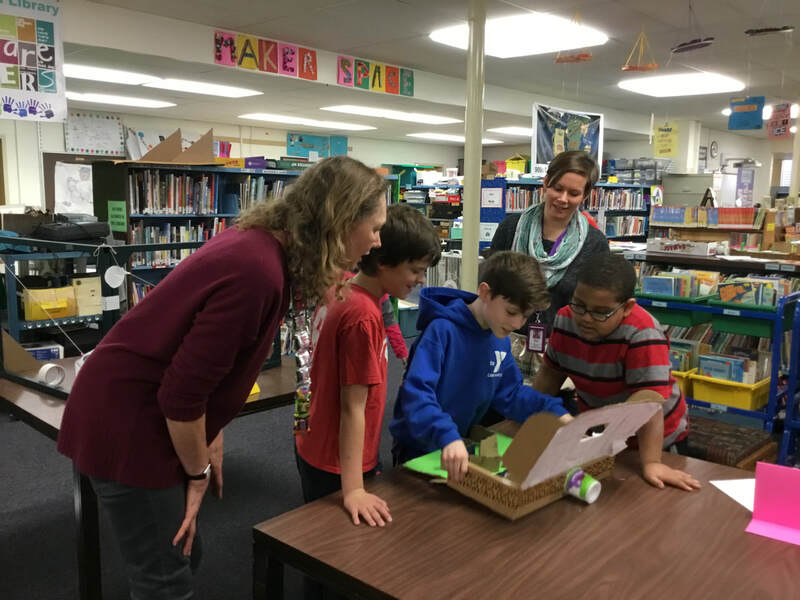 Some of the absolutely marvelous Miss Mabel maker space games designed and made by the fourth grade at Wildwood Elementary School in Amherst, Ma! 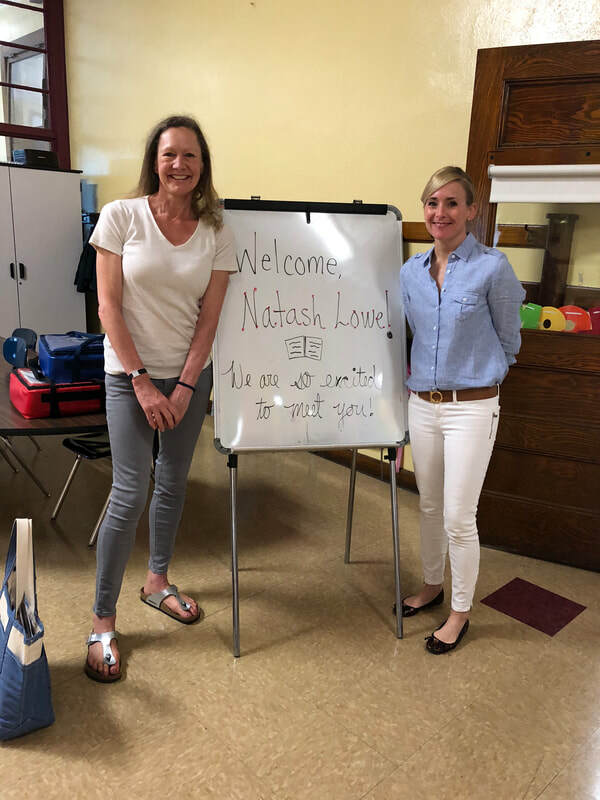 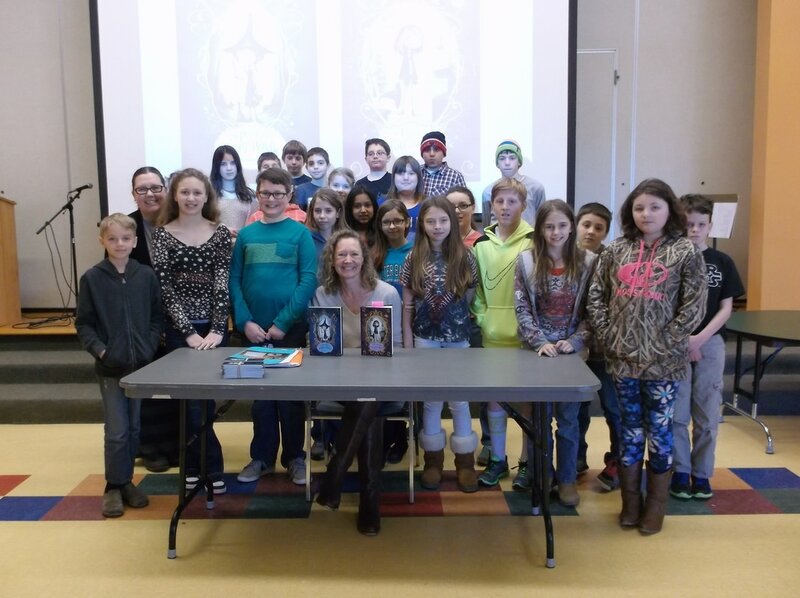 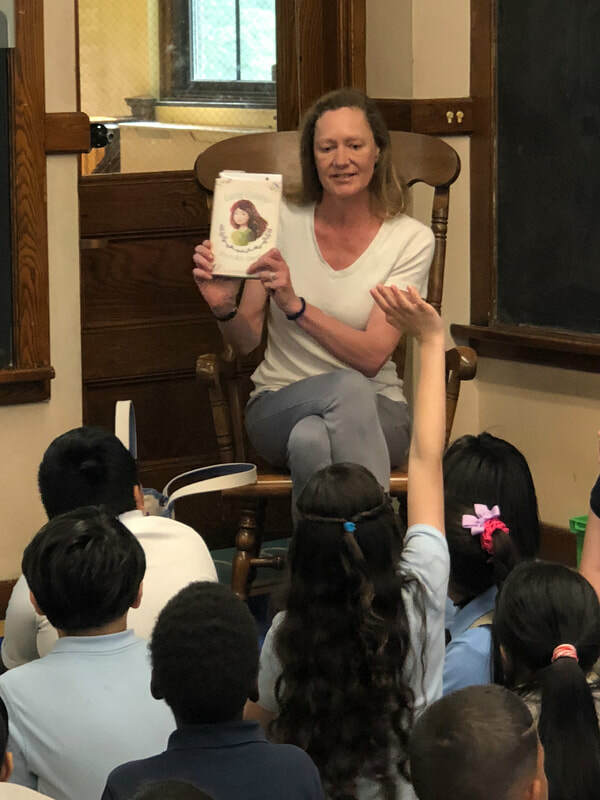 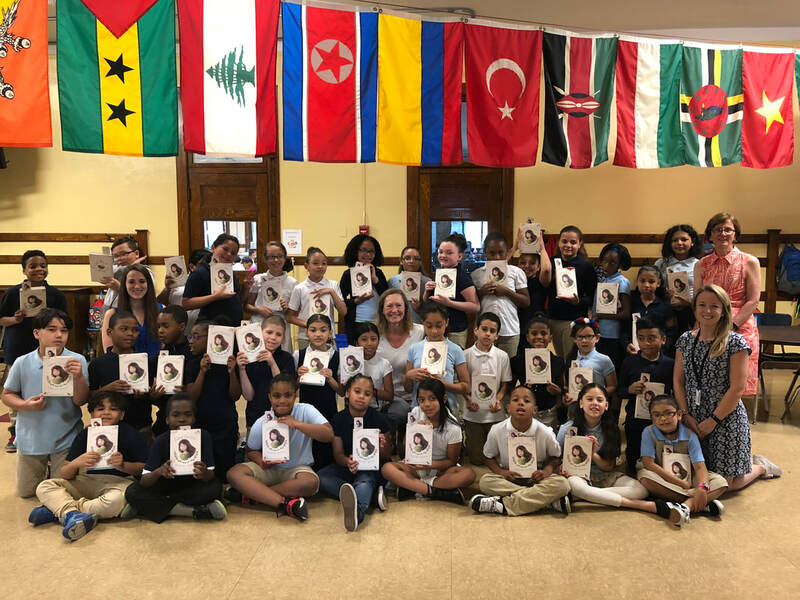 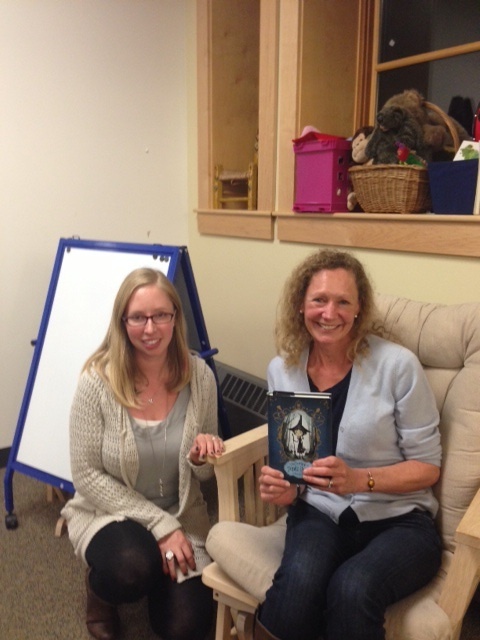 An author event at Kensington International School in Springfield, Ma, organized by Links to Libraries. 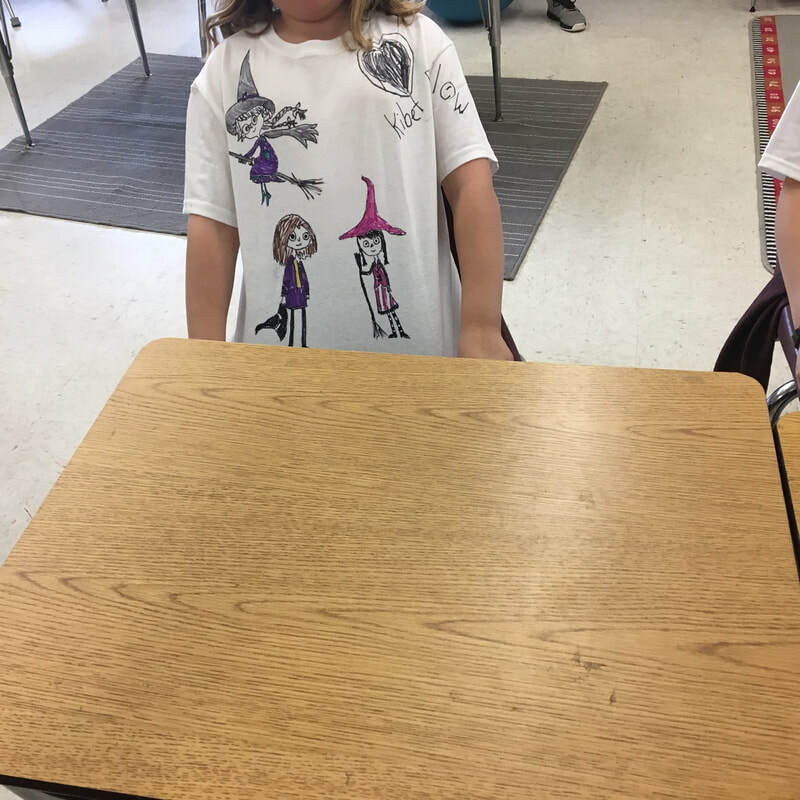 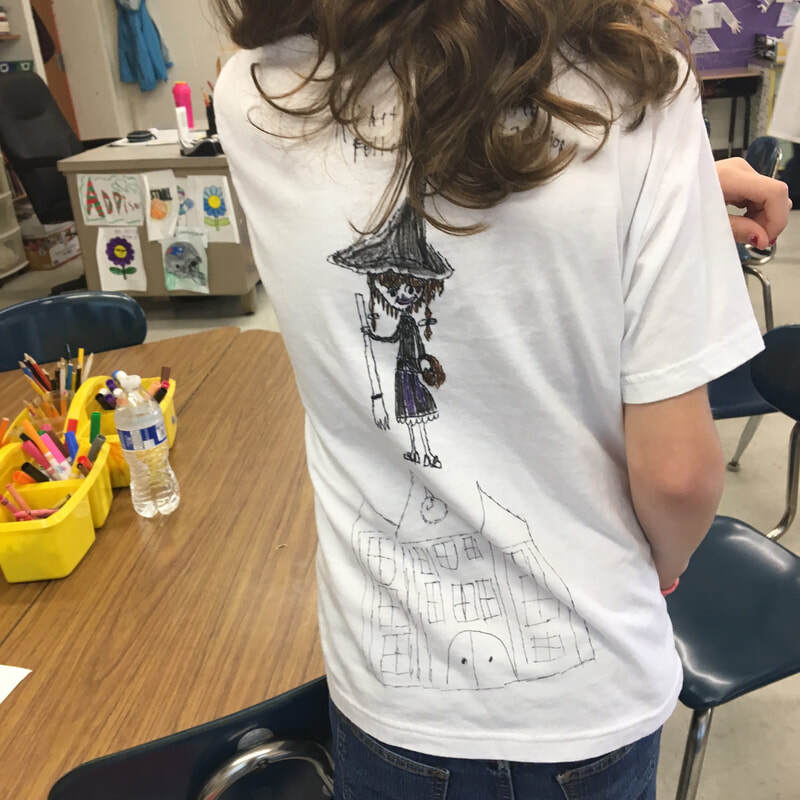 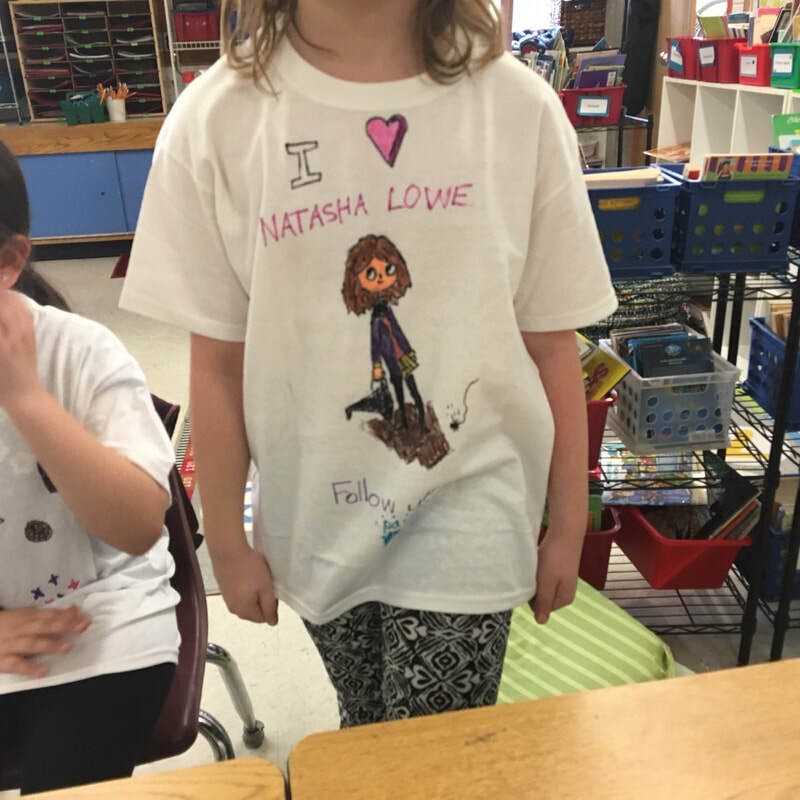 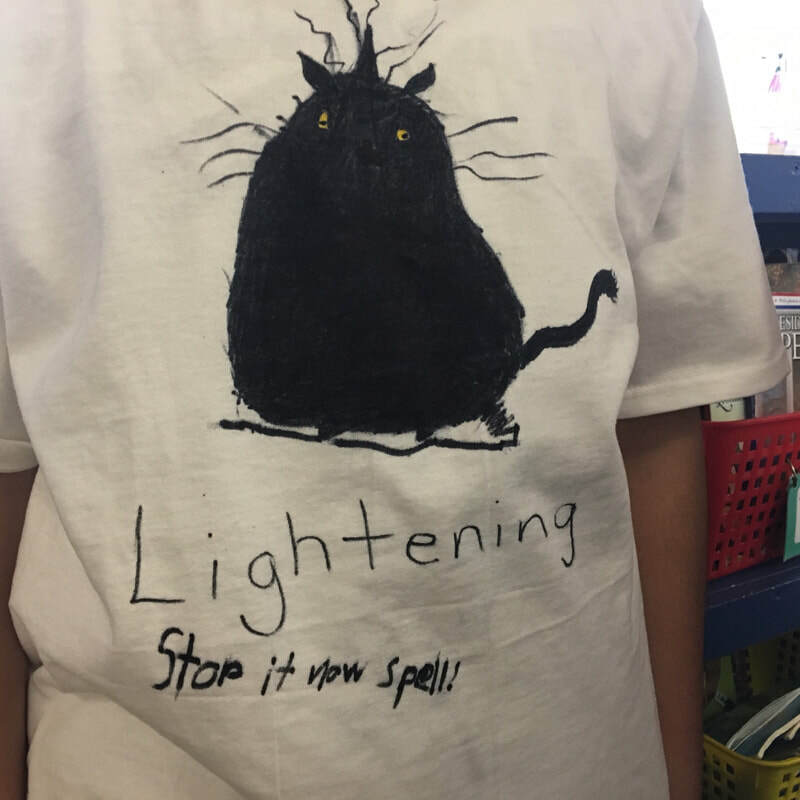 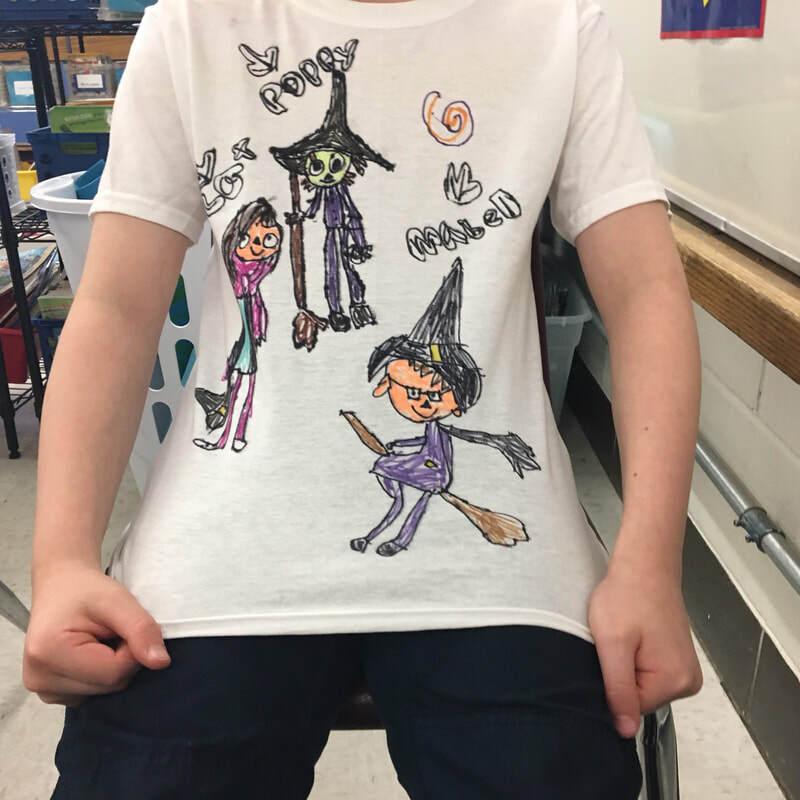 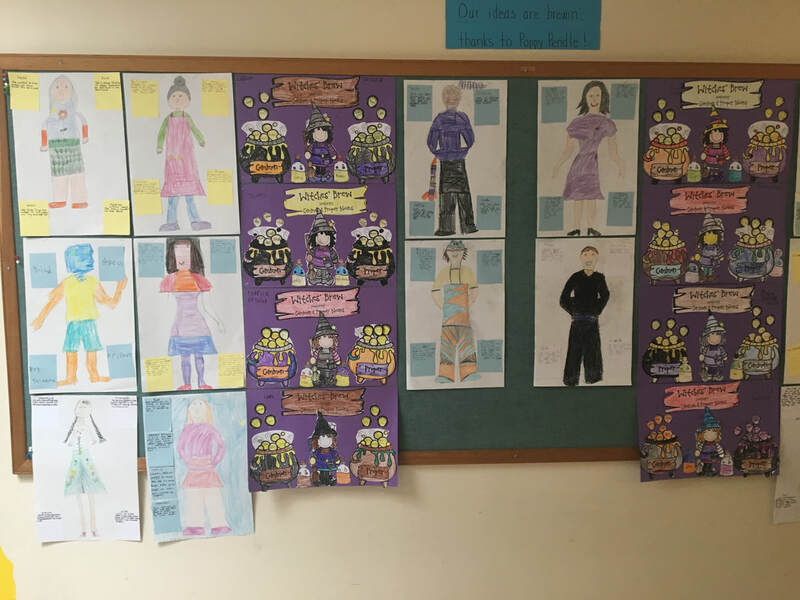 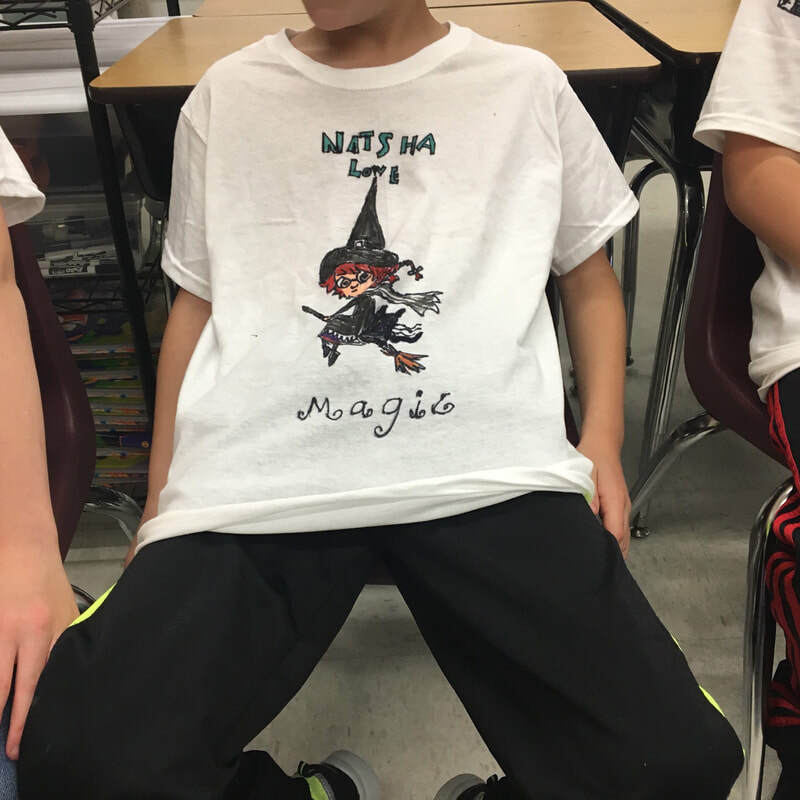 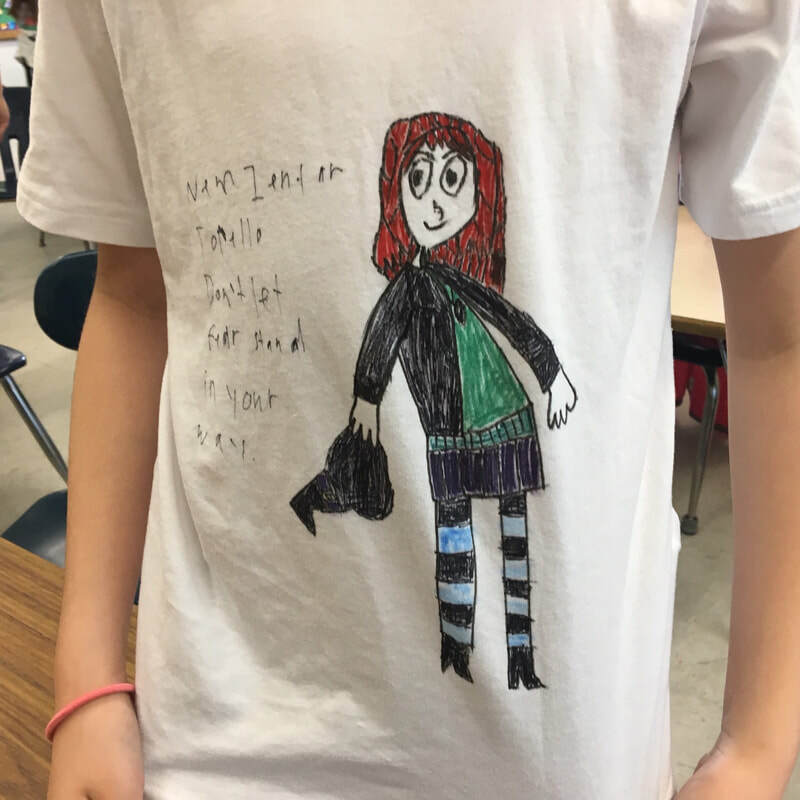 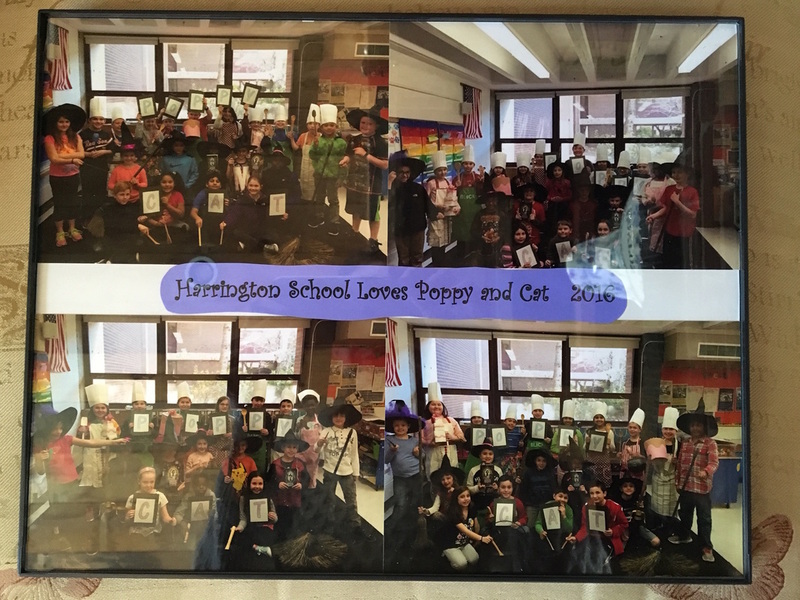 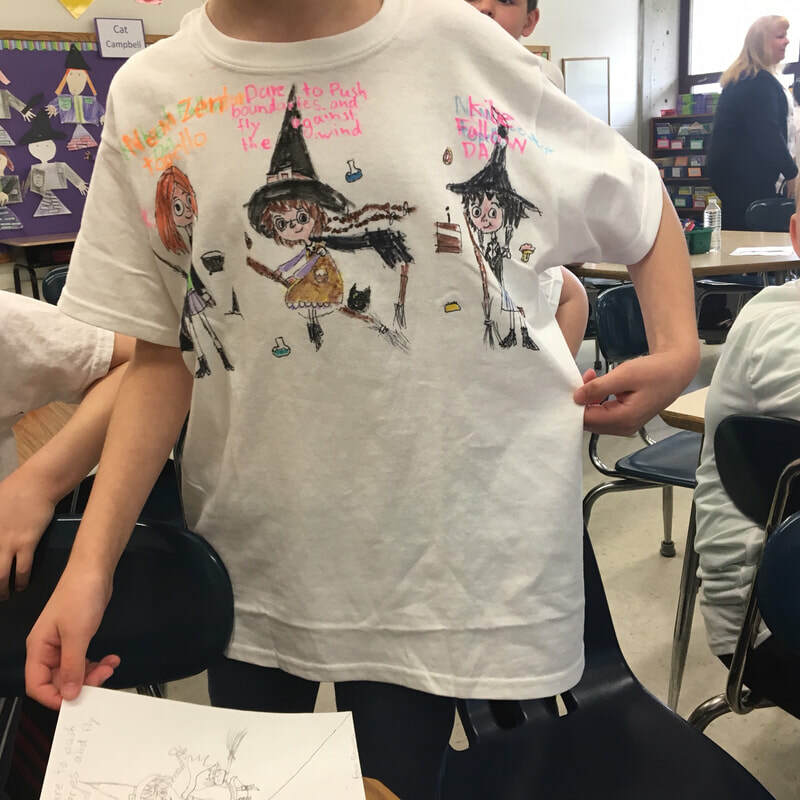 T-shirts designed by 3rd grade students at Harrington Elementary in Chelmsford! 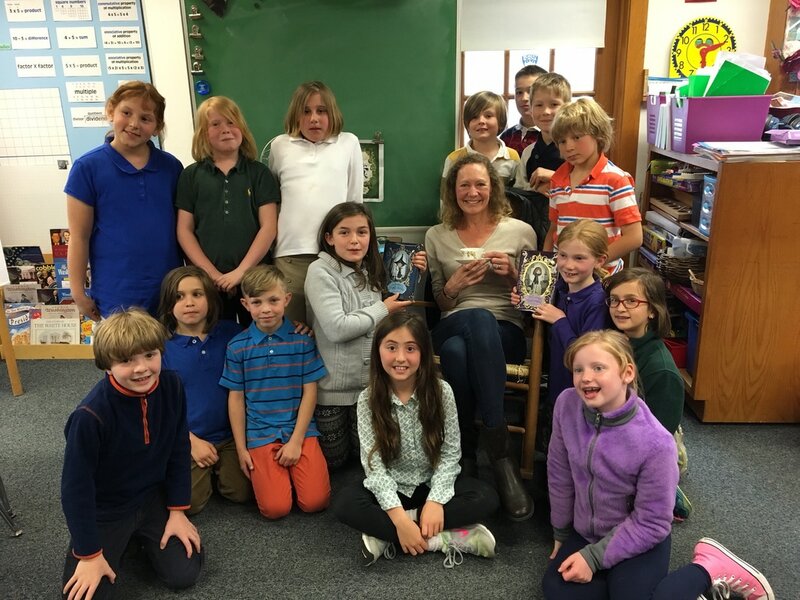 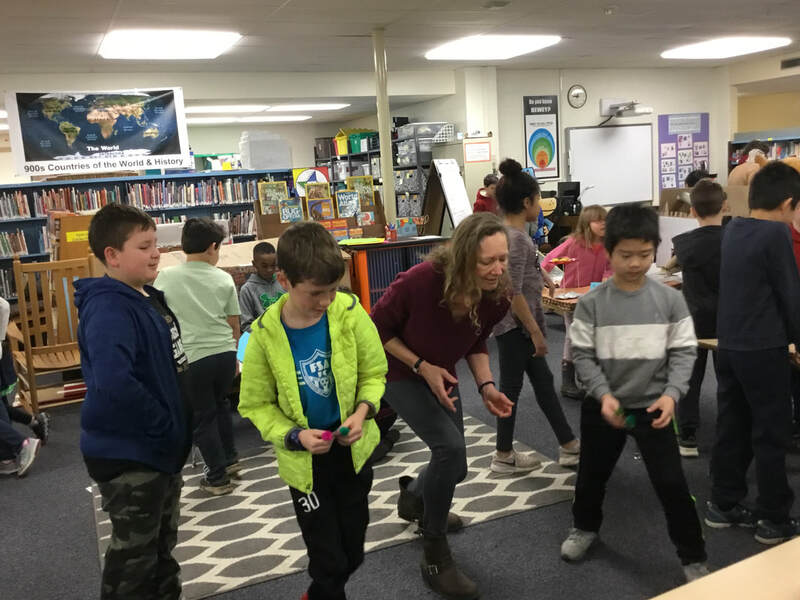 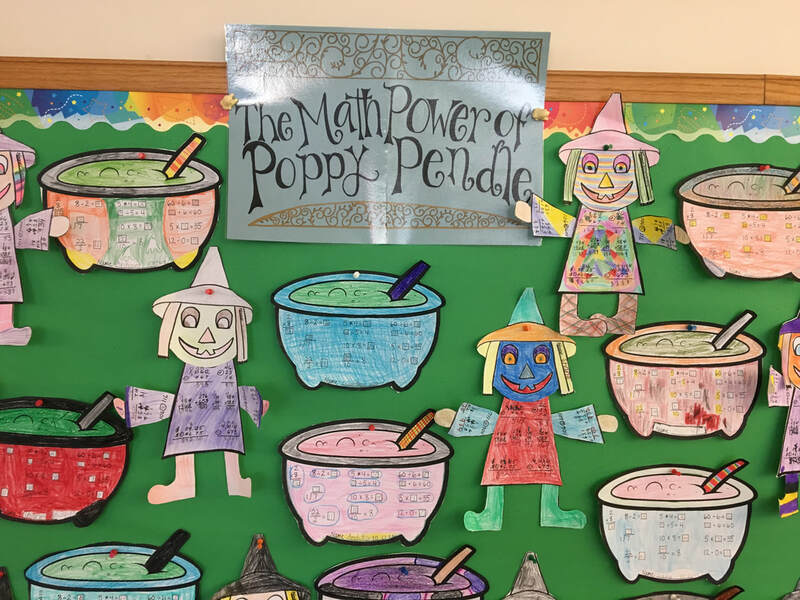 The Poppy Pendle books make learning fun for Chelmsford 3rd graders! 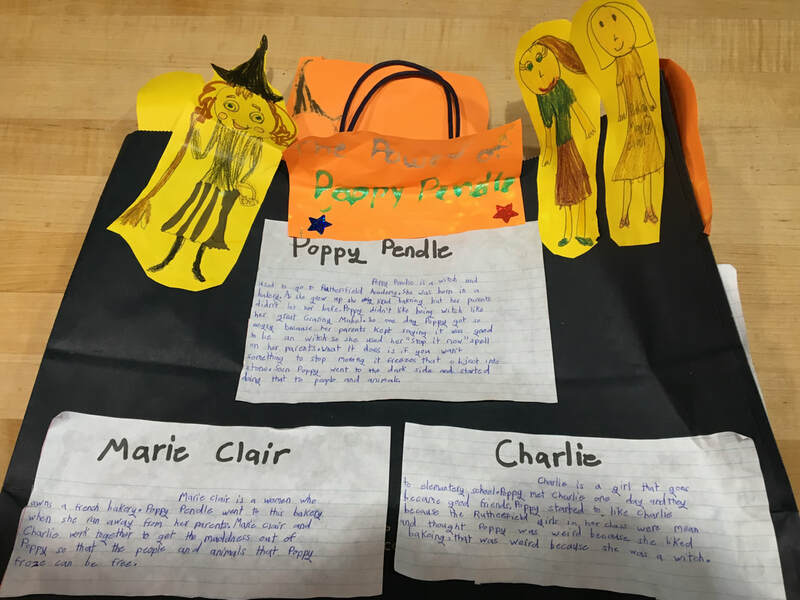 A Poppy Pendle school project! 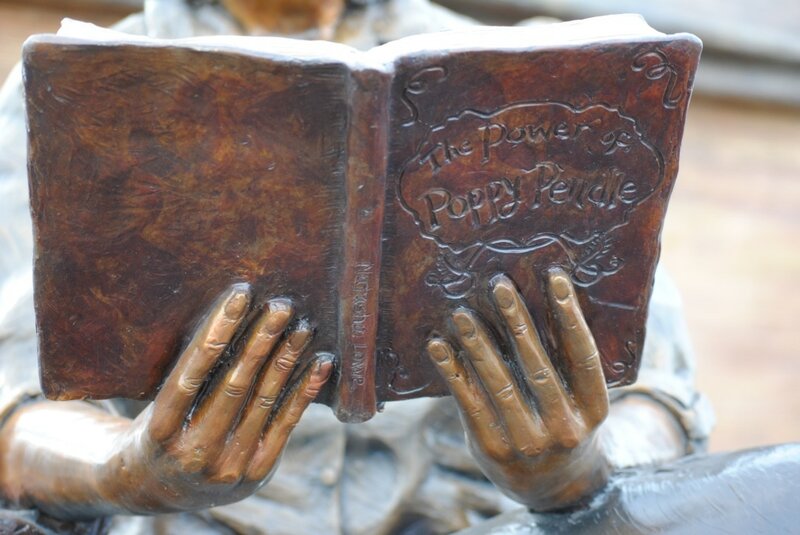 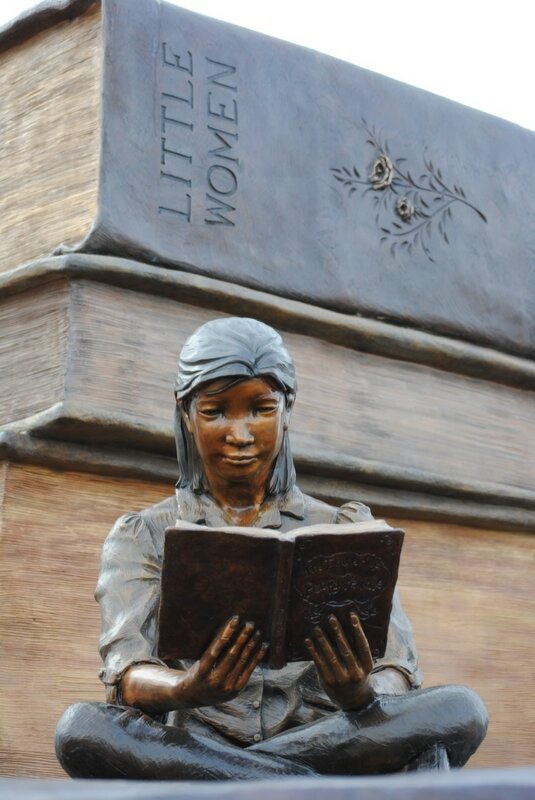 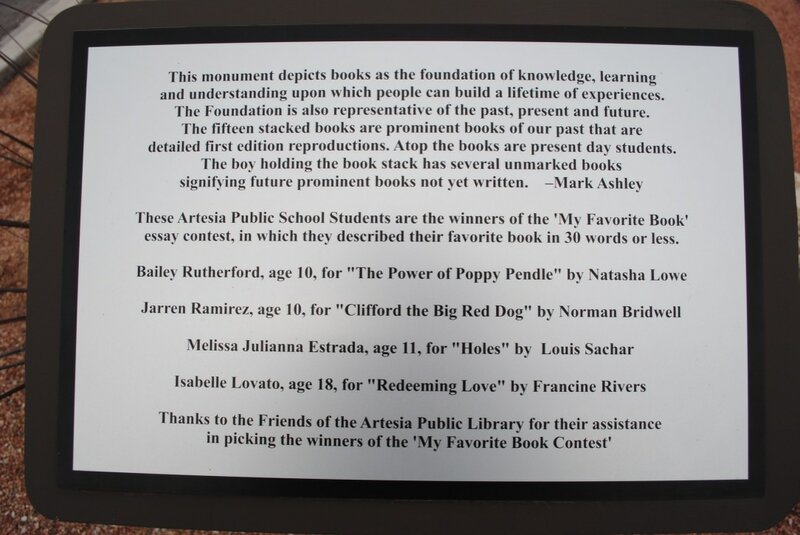 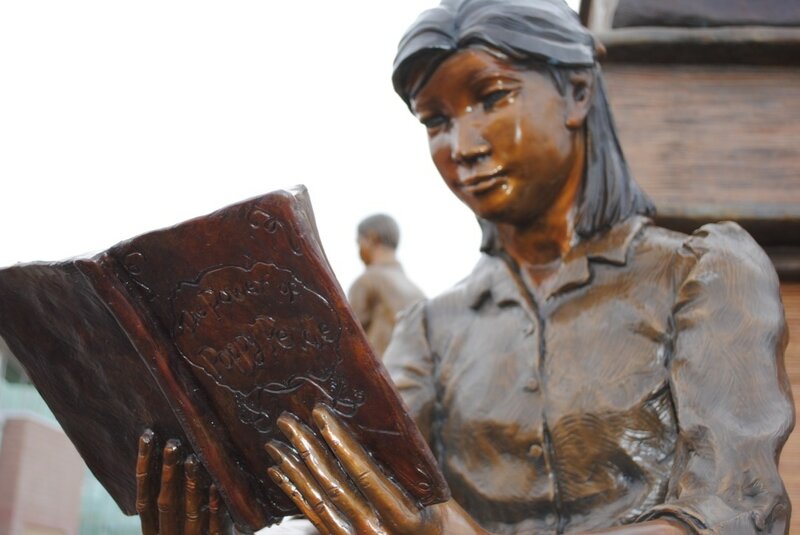 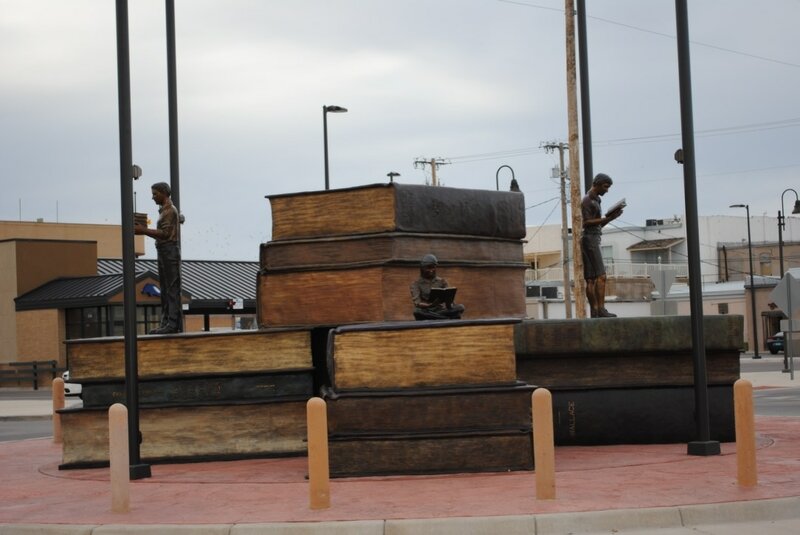 These photographs are of the Foundation - a bronze sculpture in Artesia, New Mexico, which shows a bronze student reading The Power of Poppy Pendle!! 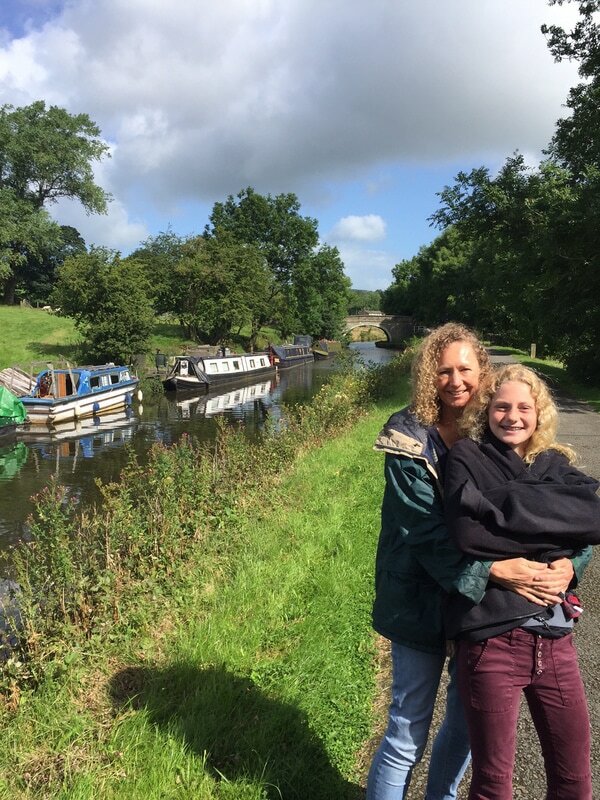 The canal near my grandmother's house - that was the inspiration for the Potts Bottom Canal! 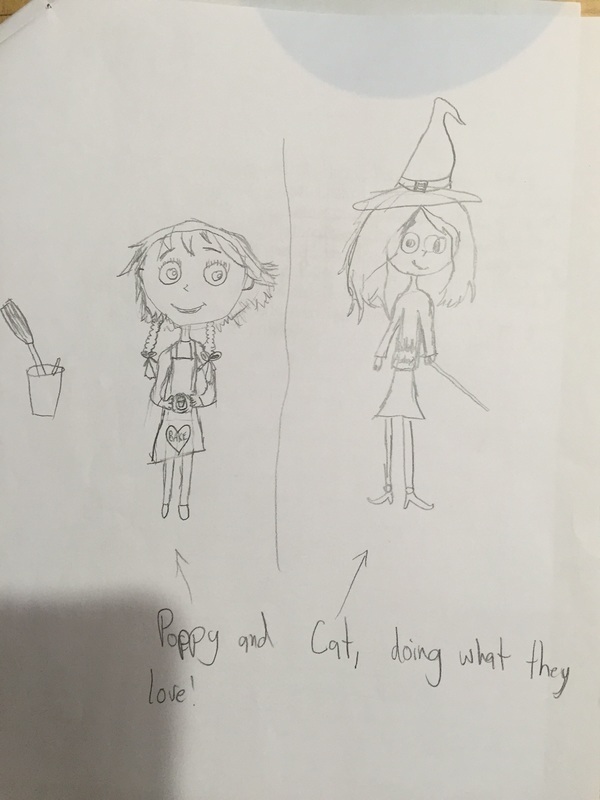 The cast from 'A Family of Witches' - a mash-up play of POPPY, CAT and MABEL! 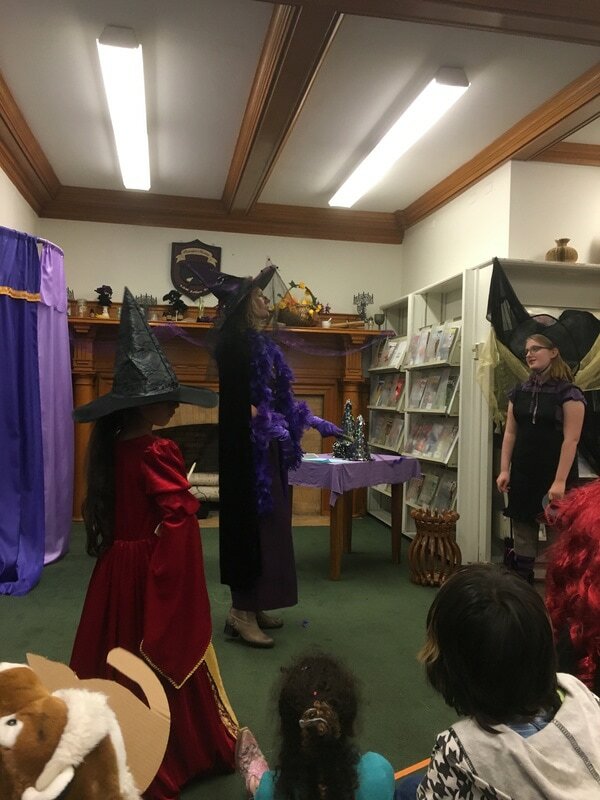 Miss Reed going over the flying rules in 'A Family of Witches' play! 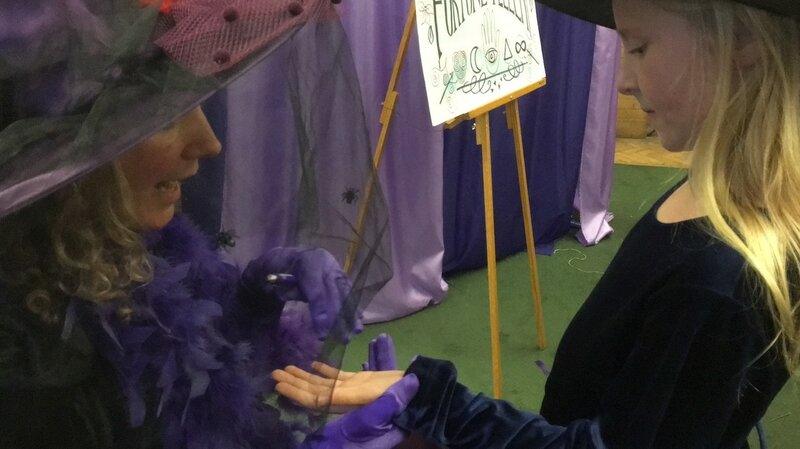 Fortune teller, Lena Sweeny (me!) 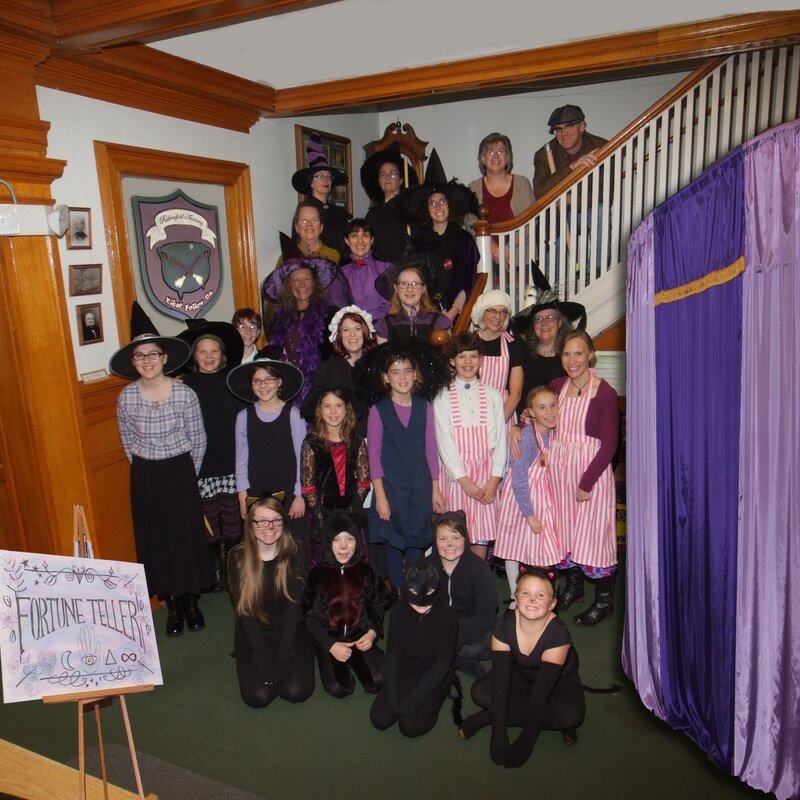 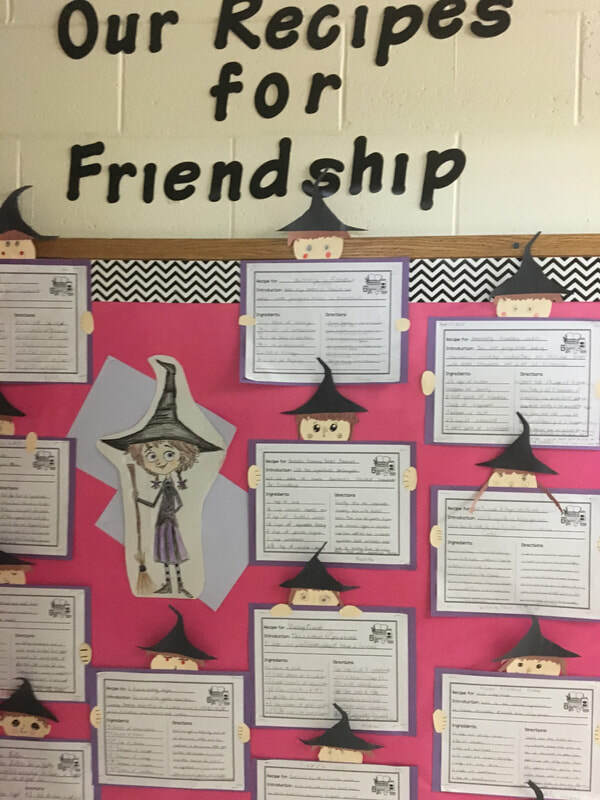 talks to Mabel in 'A family of Witches' play! 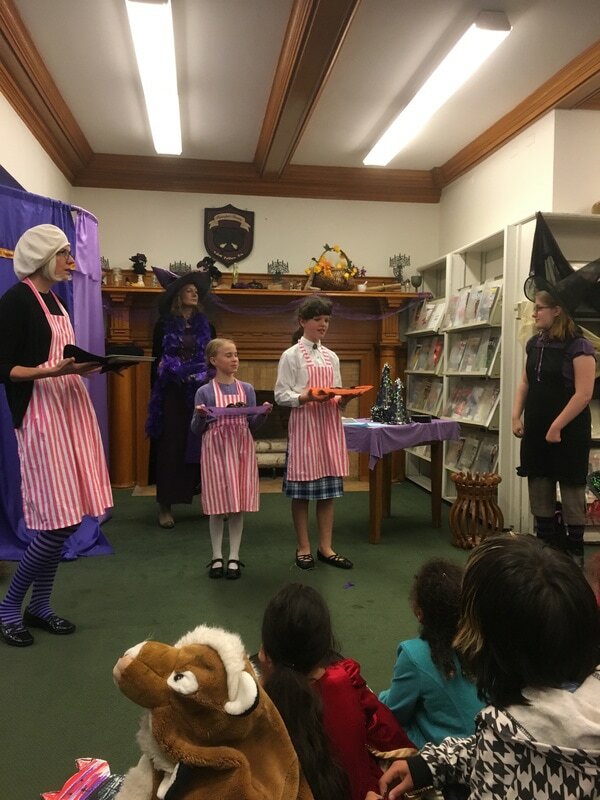 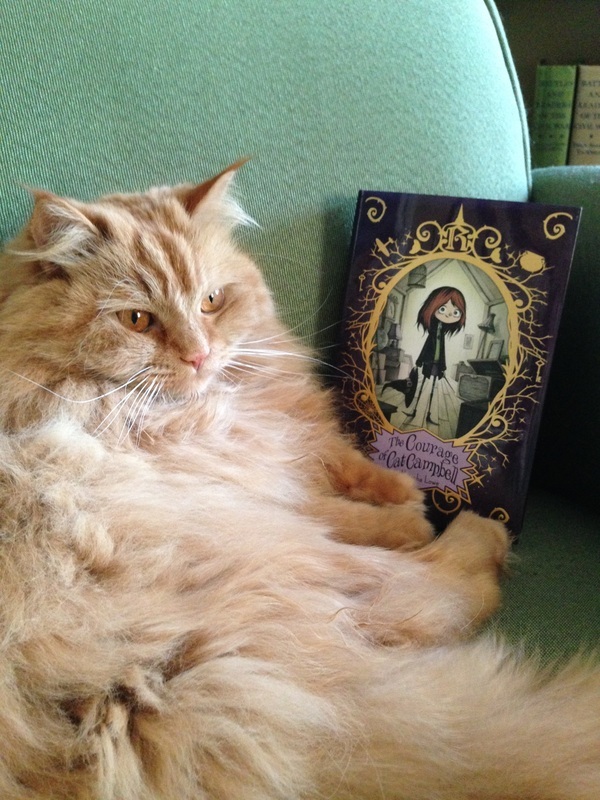 Poppy, Charlie and Marie Claire meet Mabel from the future in a mash up play of my books! 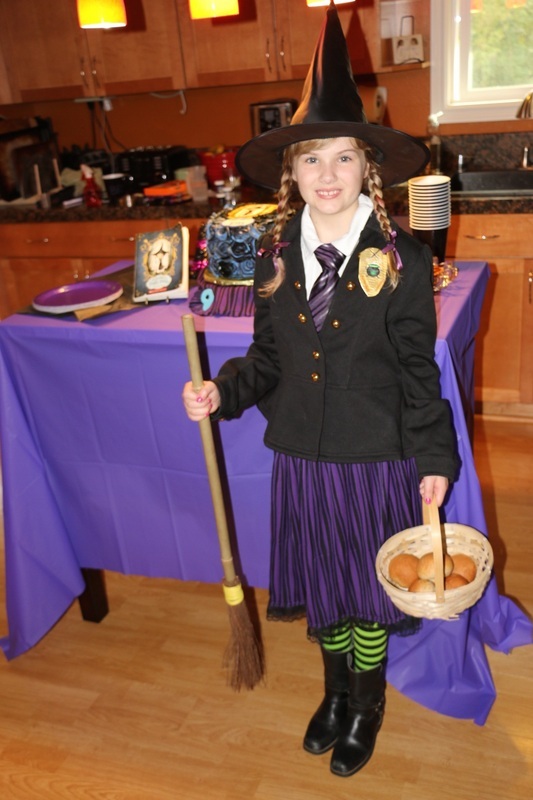 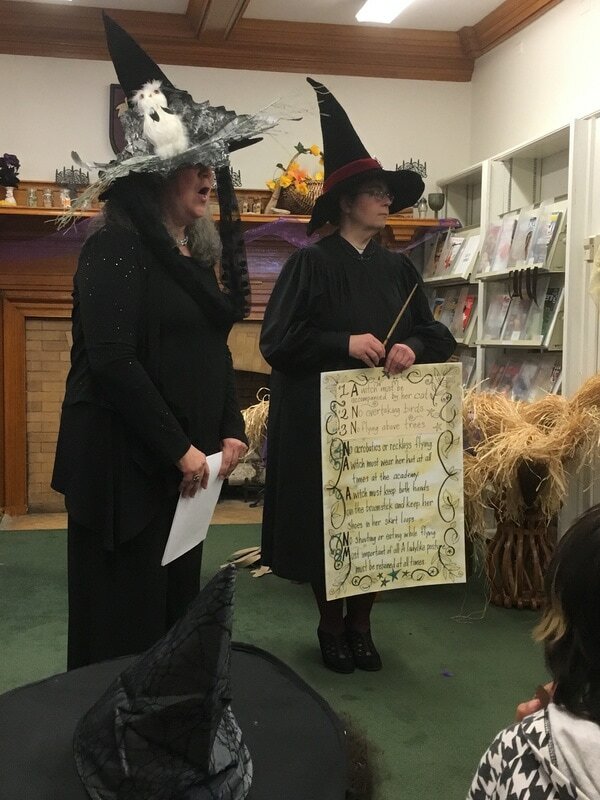 Reading palms dressed as Miss Lena Sweeny in 'A Family of Witches' play! 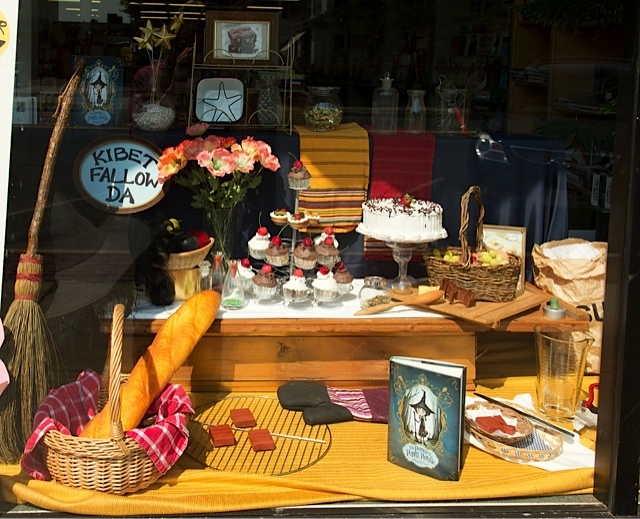 World Eye Bookstore window display for MISS MABEL'S book launch! 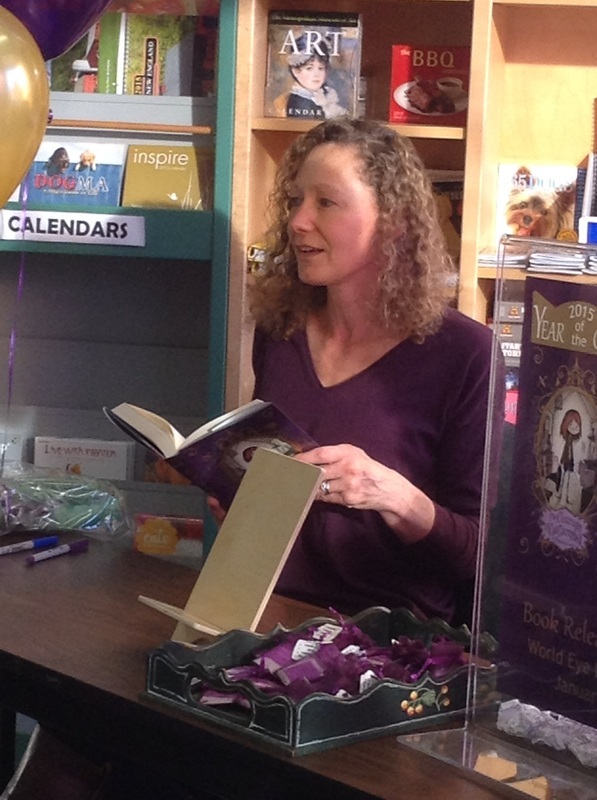 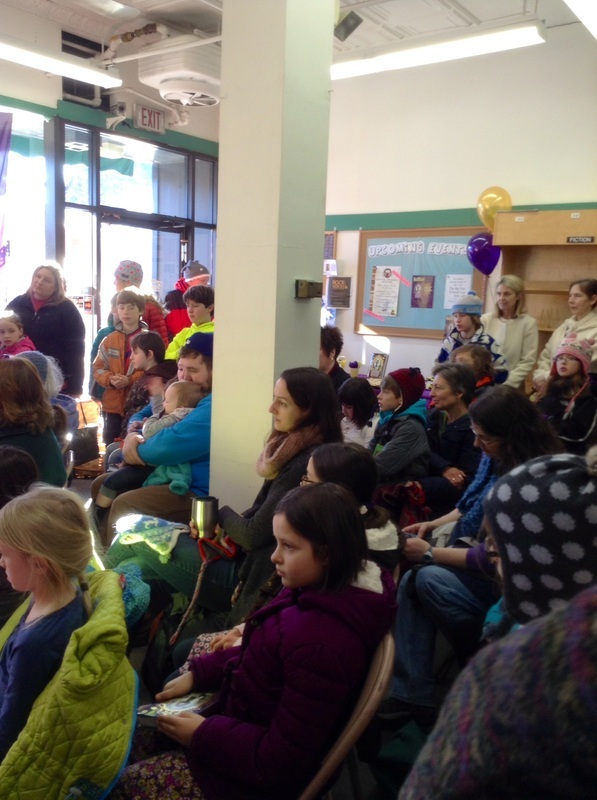 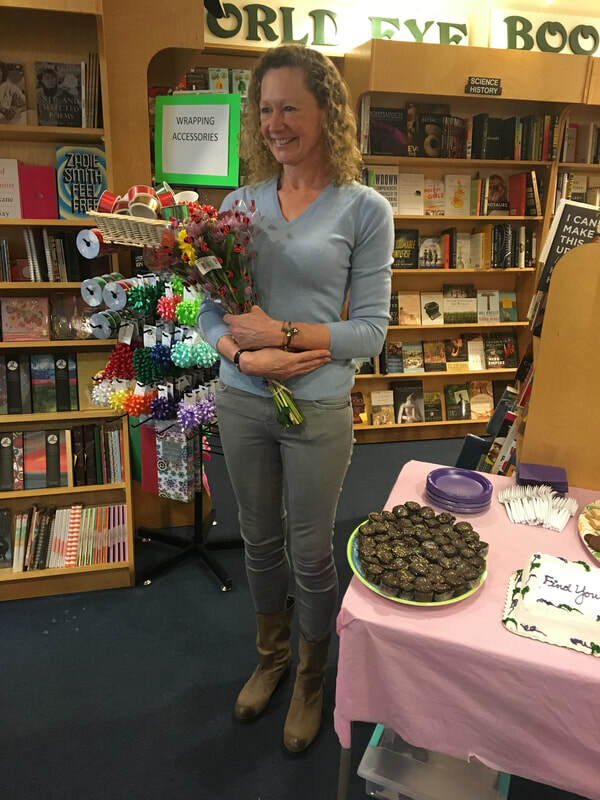 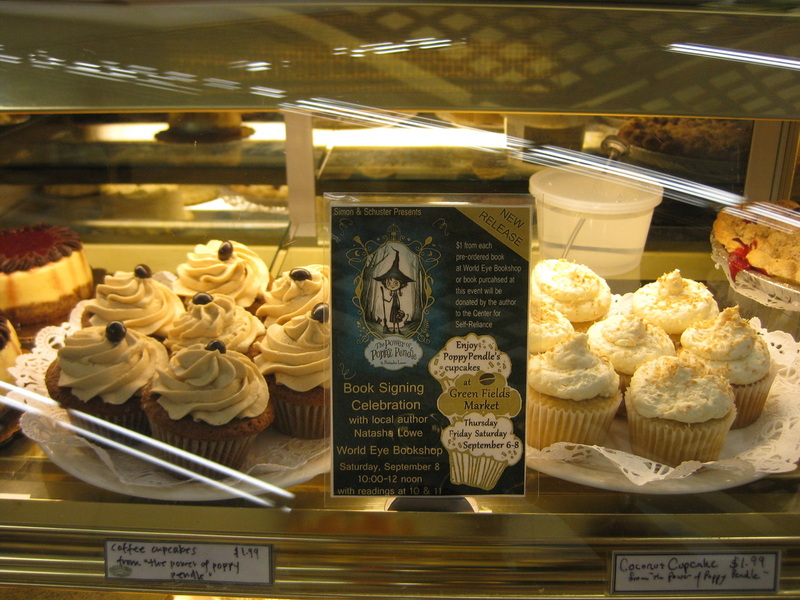 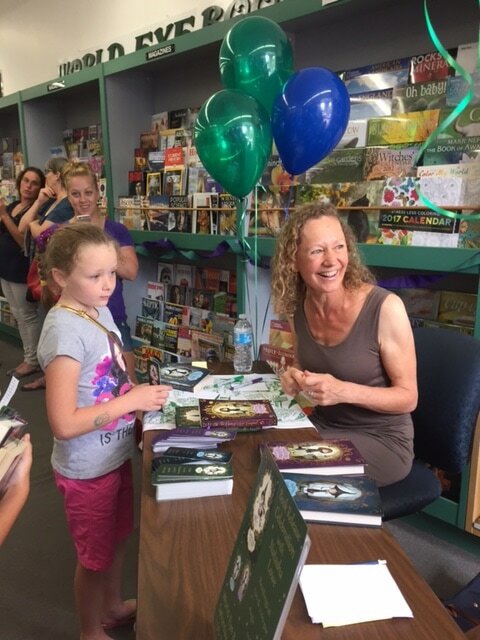 The Marvelous Magic of Miss Mabel's book launch party at World Eye bookstore! 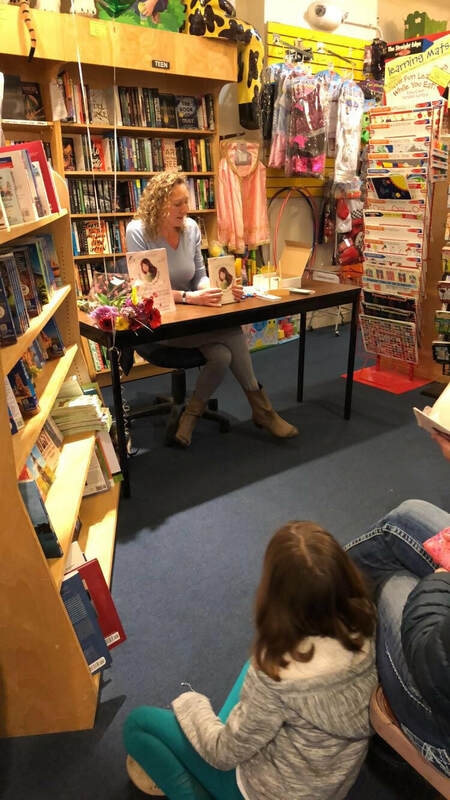 Book launch party at The World Eye bookstore for MISS MABEL!! 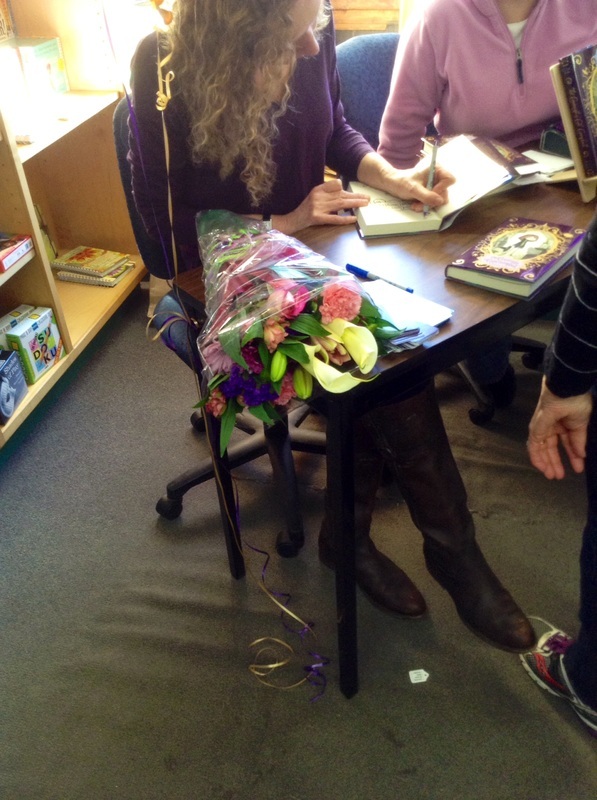 Signing books at the launch party for MABEL! 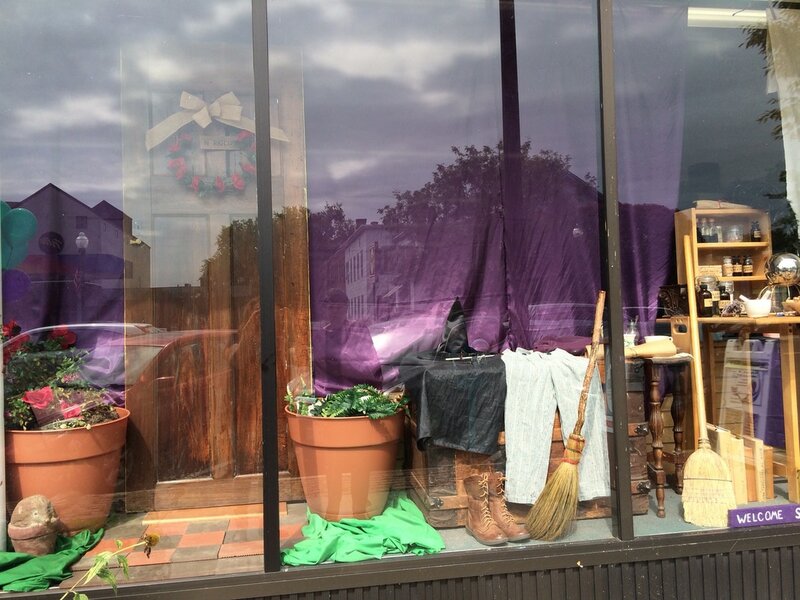 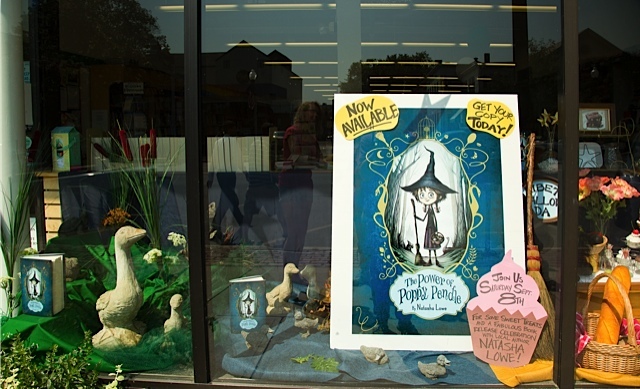 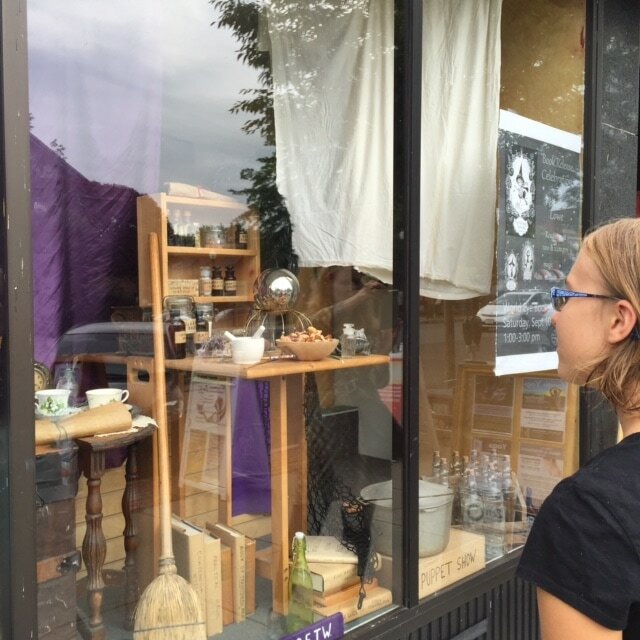 Window display at World Eye Bookstore for MABEL'S book launch party!! 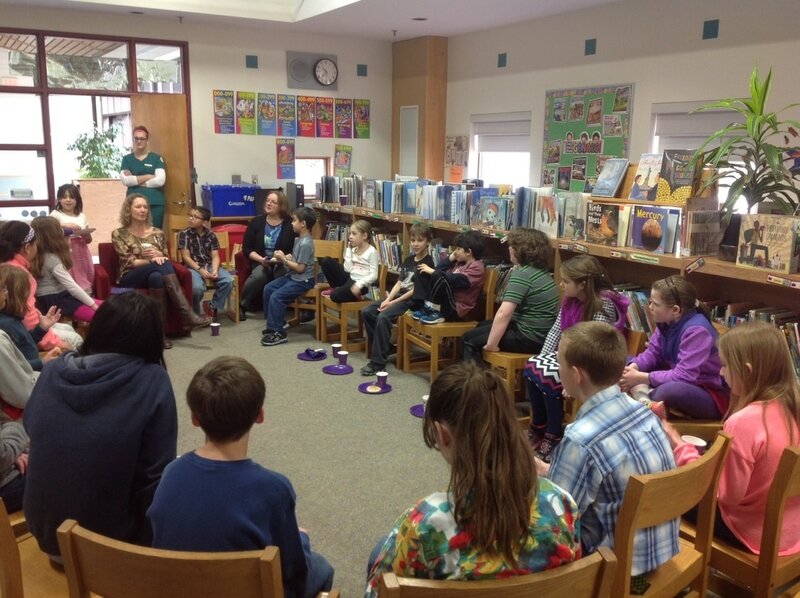 talking with students at Sunderland Elementary and enjoying delicious baked goodies! 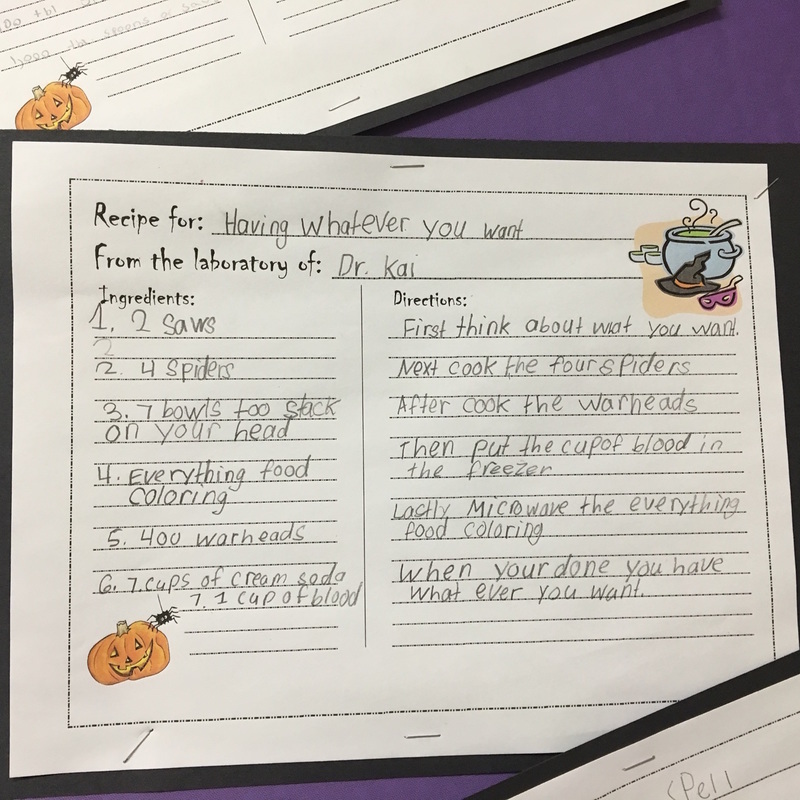 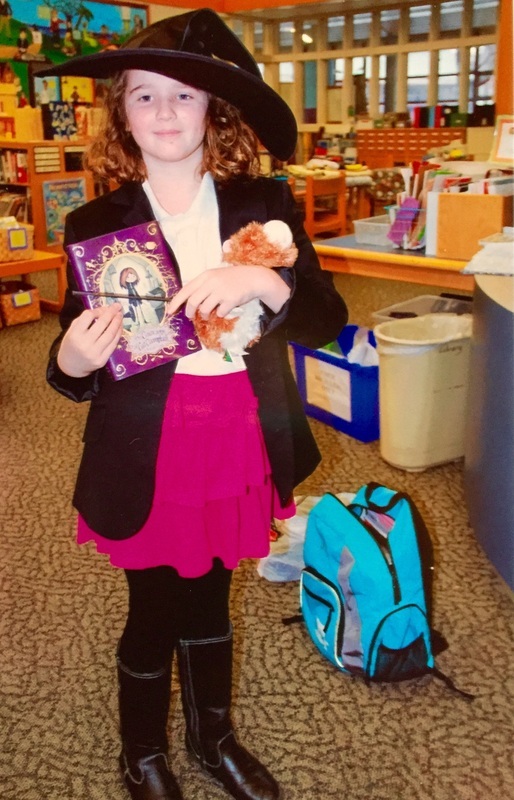 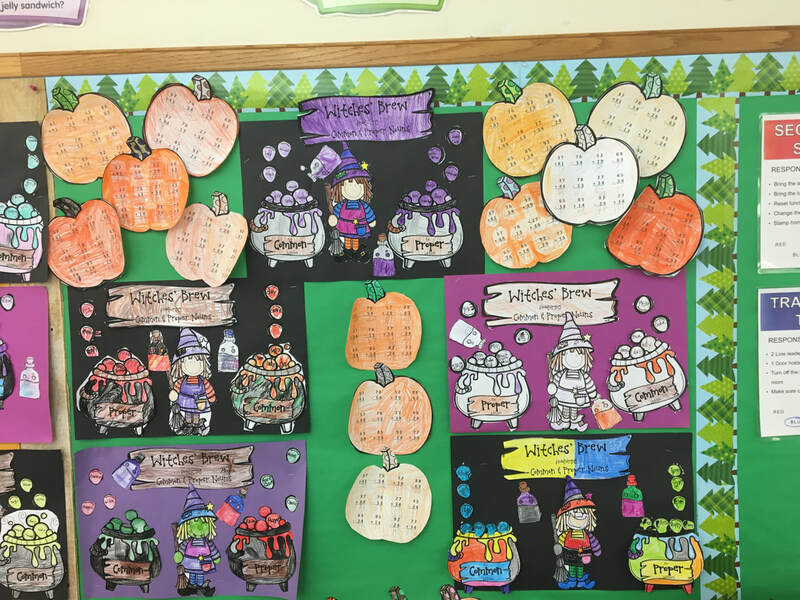 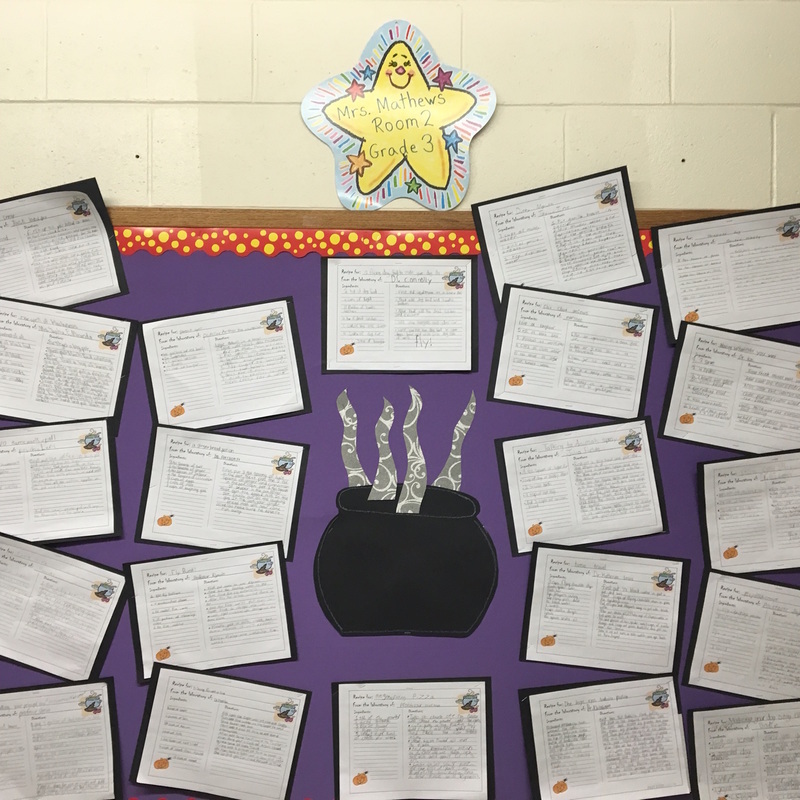 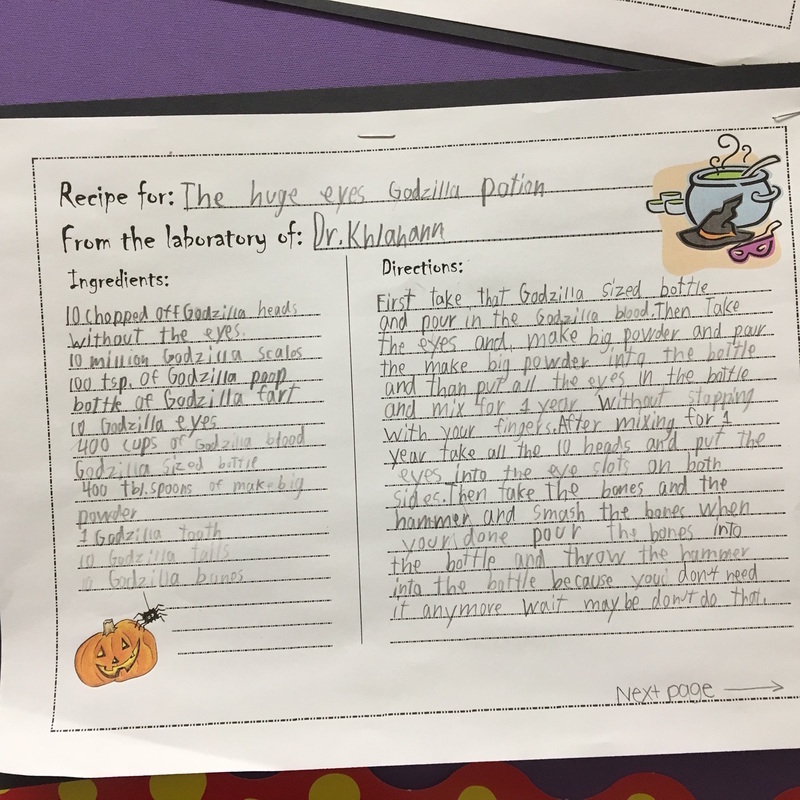 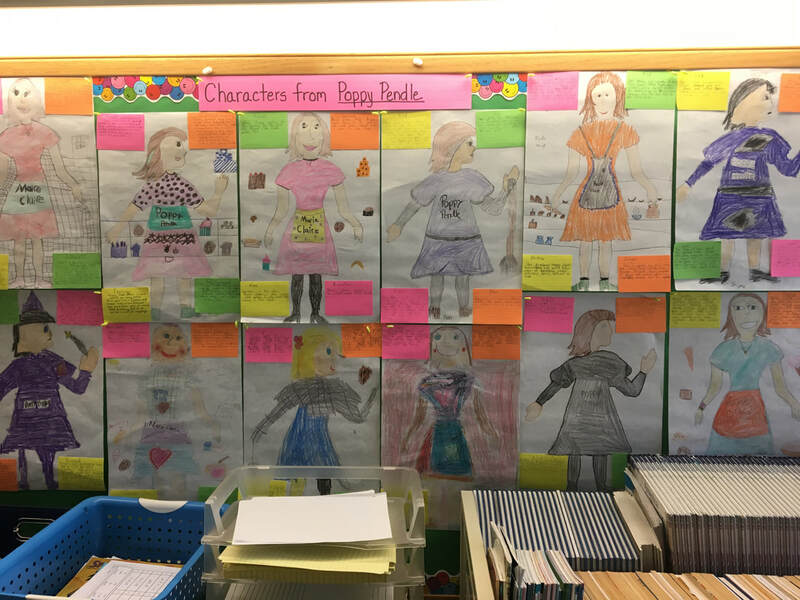 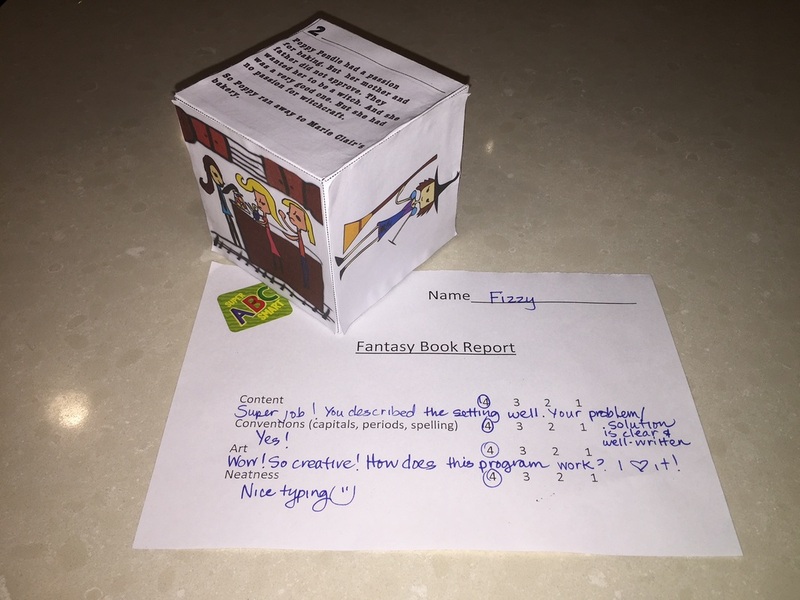 A book report project by Fizzy from Washington State! 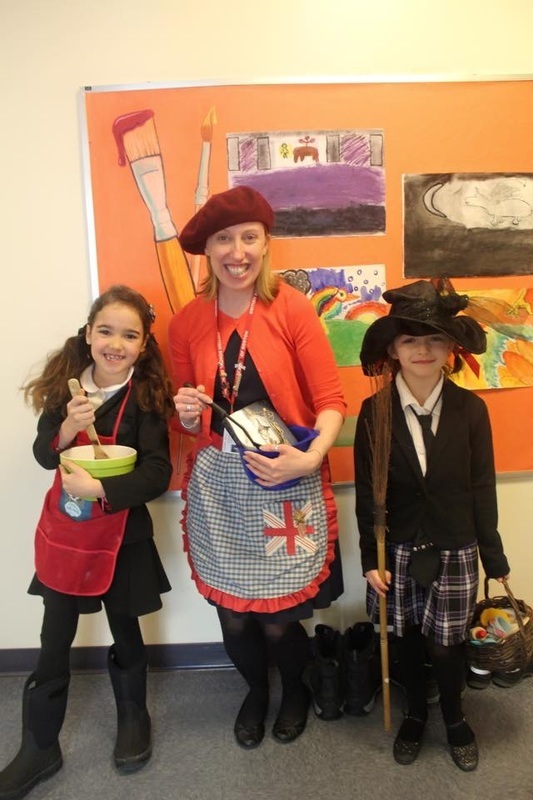 CELEBRATING WORLD BOOK DAY AT THE BRITISH INTERNATIONAL SCHOOL OF BOSTON. 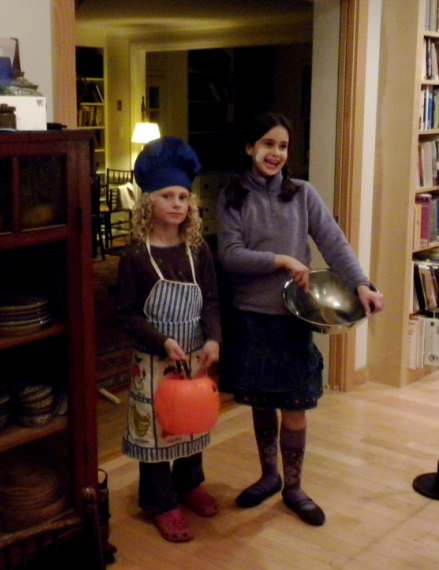 DRESSED UP AS THEIR FAVORITE STORY BOOK CHARACTERS ARE TWO FABULOUS POPPY PENDLES AND A WONDERFUL MARIE CLAIRE! 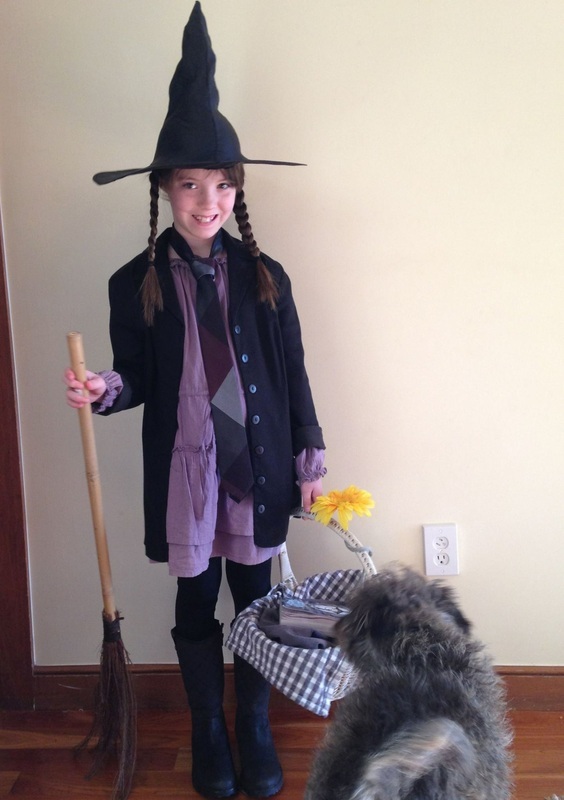 DRESSED UP AS POPPY PENDLE FOR WORLD BOOK DAY AT THE BRITISH INTERNATIONAL SCHOOL OF BOSTON. 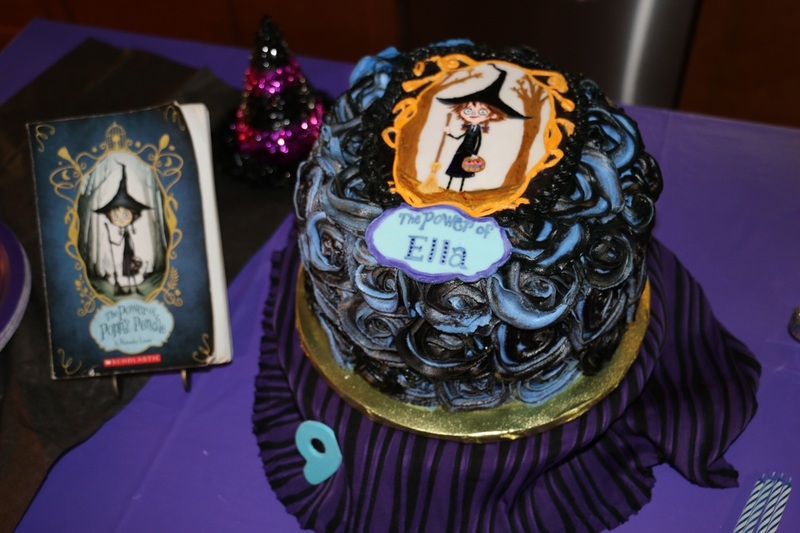 Birthday cake made by Ella's very talented mom. 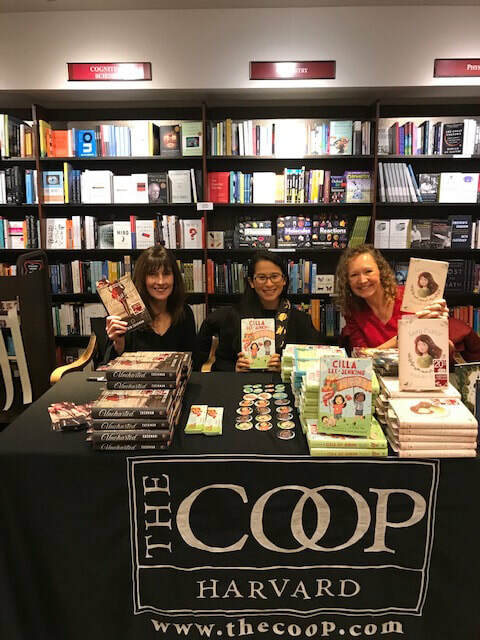 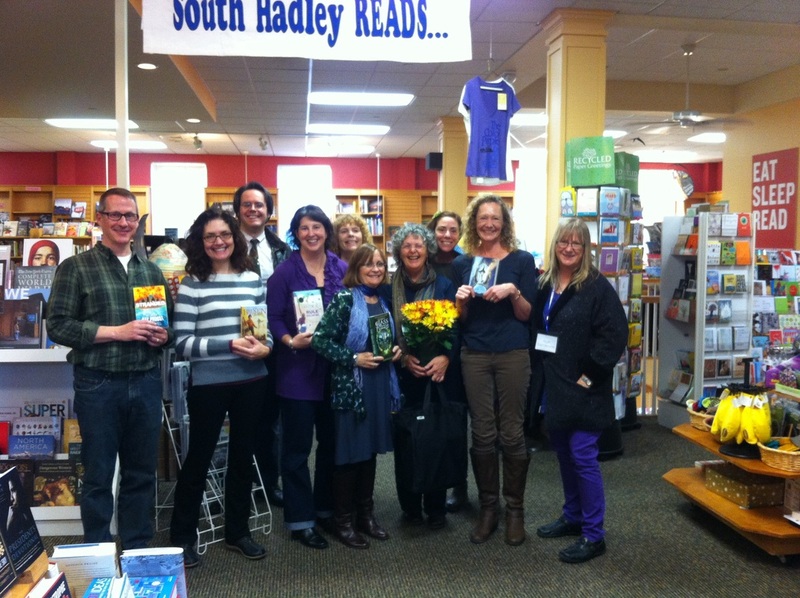 Book signing at the Harvard Coop in Cambridge, Ma! 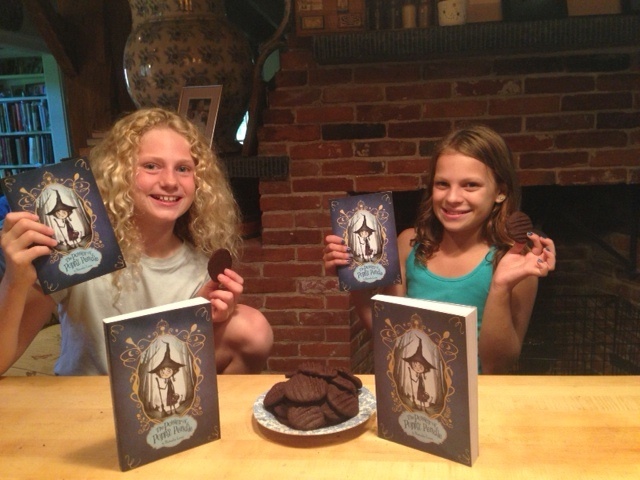 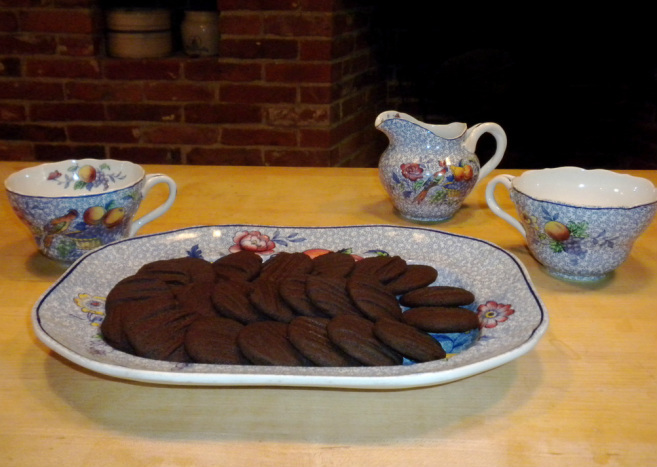 Celebrating the release of Poppy in paperback with chocolate melt-aways! 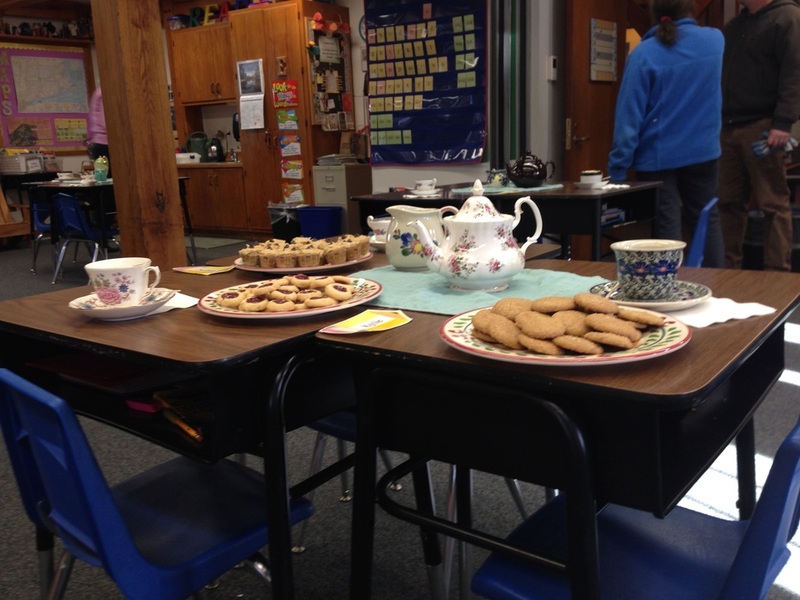 Reading and tea party with the third graders at the Bement School in Deerfield! 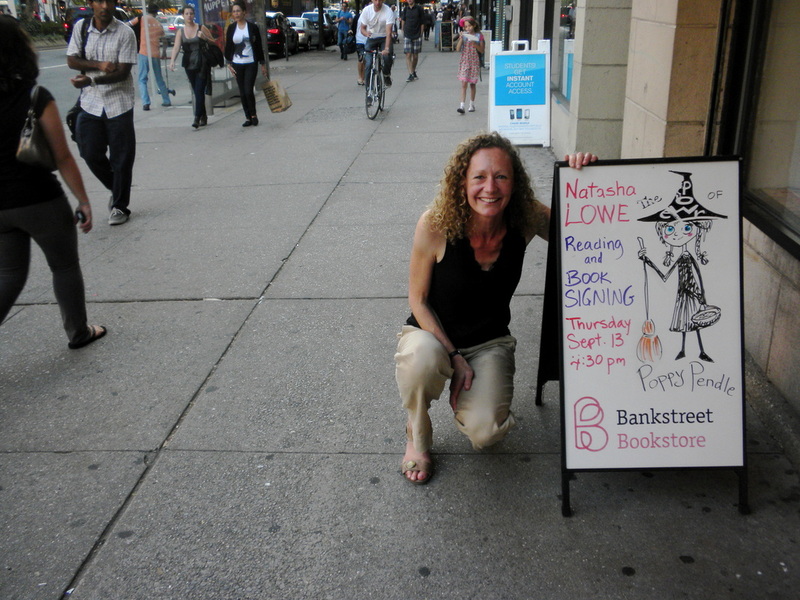 Outside Books of Wonder - right before Hurricane Sandy hit! 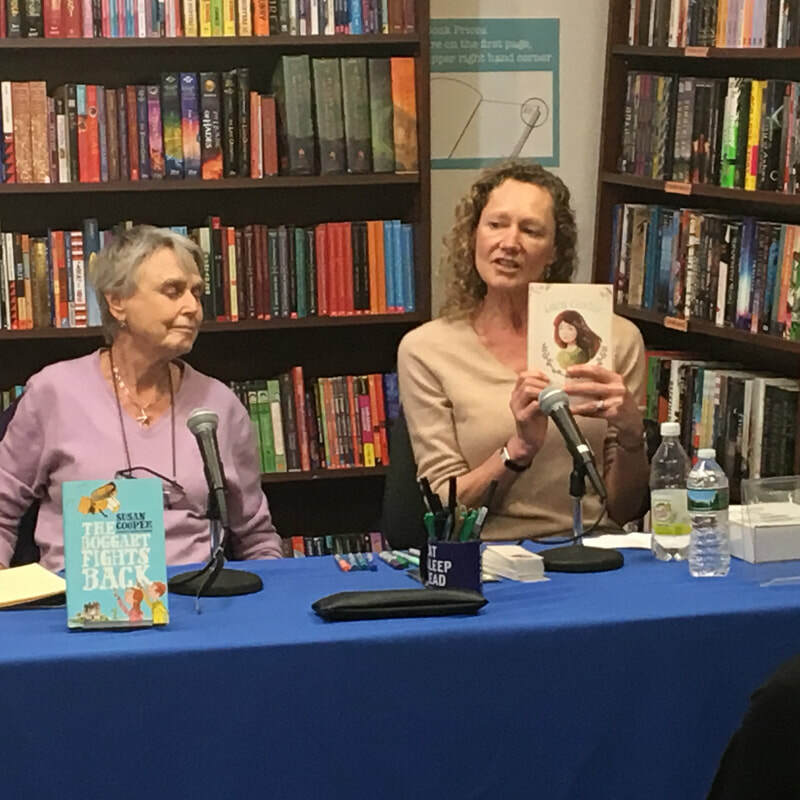 Sitting on a panel with eight other fabulous authors at Books of Wonder! 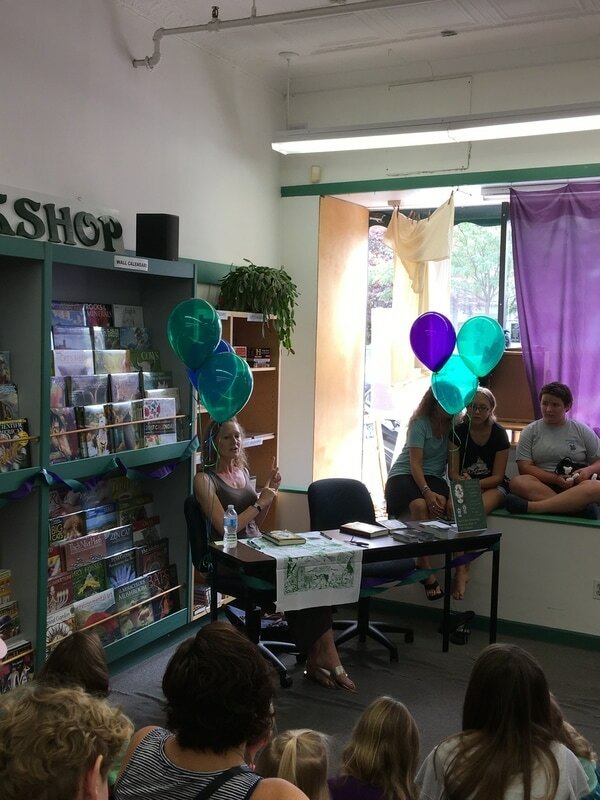 Feeling really happy to be at this event and not worrying about the oncoming storm at all! 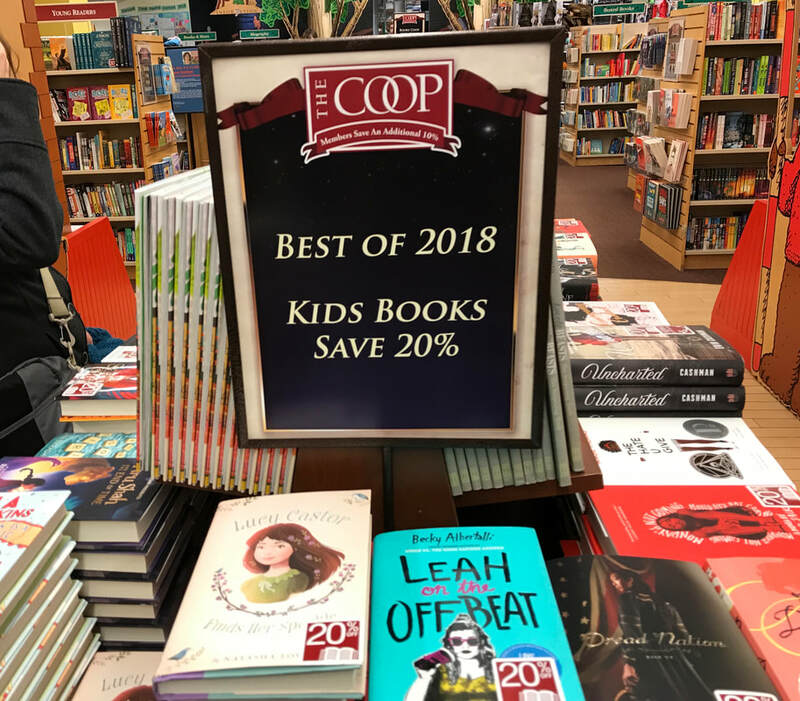 Outside Bankstreet Bookstore in New York! 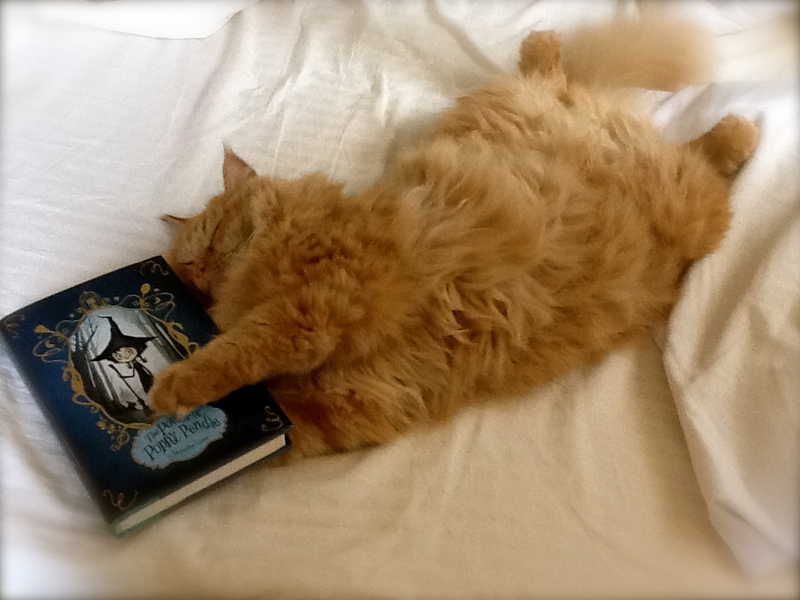 A nap and a good book! 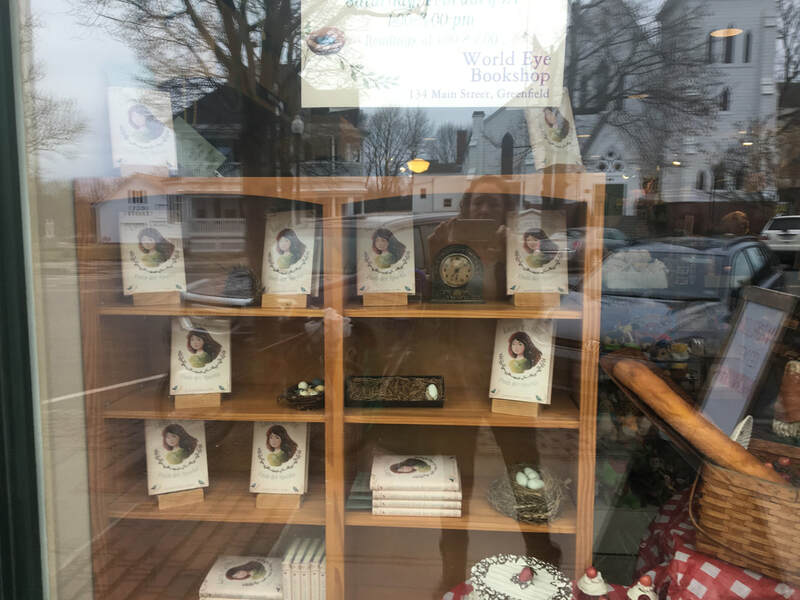 The World Eye window before my book release party!